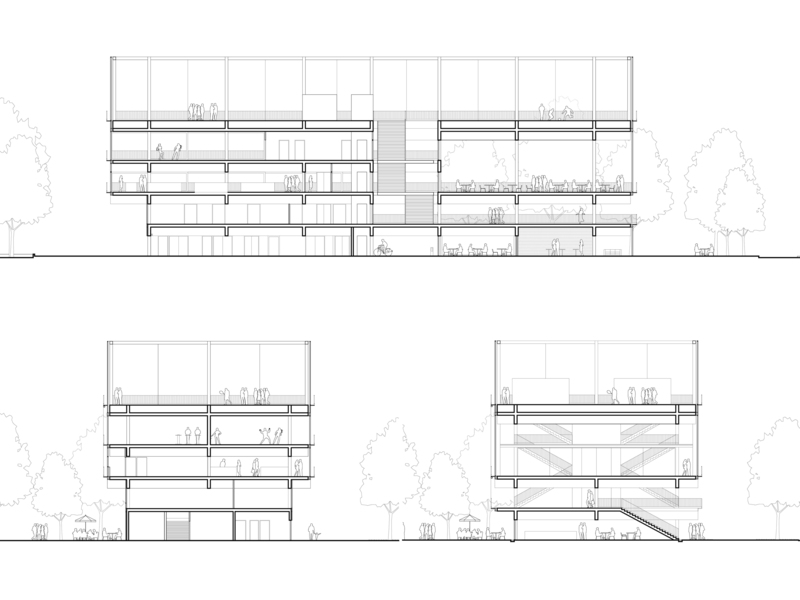 Completed in January 2016, the 2,000 square-meter “urban shelf” is organized using the idea of “vertical diversity”. 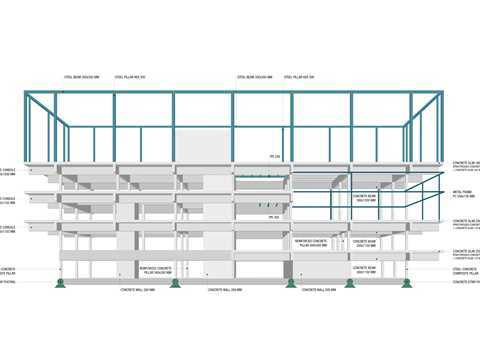 The building provides very different kinds of spaces, ensuring that indoor as well as outdoor areas may be used for very different purposes. 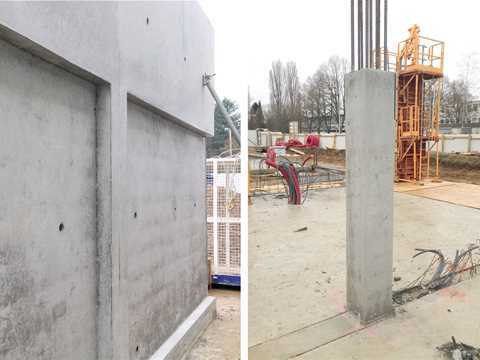 The "Public Condeser" is publicly funded and in response to the low construction budget, detailing has been kept to a minimum. 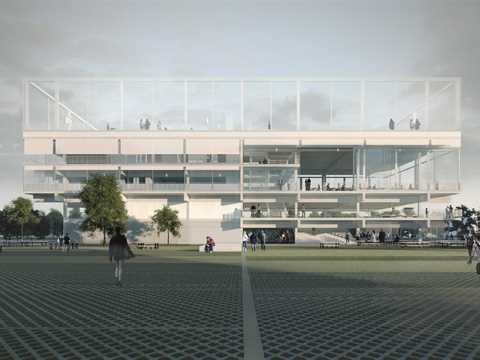 This economical approach has allowed for the inclusion of a generous public square, ensuring a planted pedestrian connection with the existing academic buildings next to the site. Construction has started in October 2014, with completion planned for December 2015. 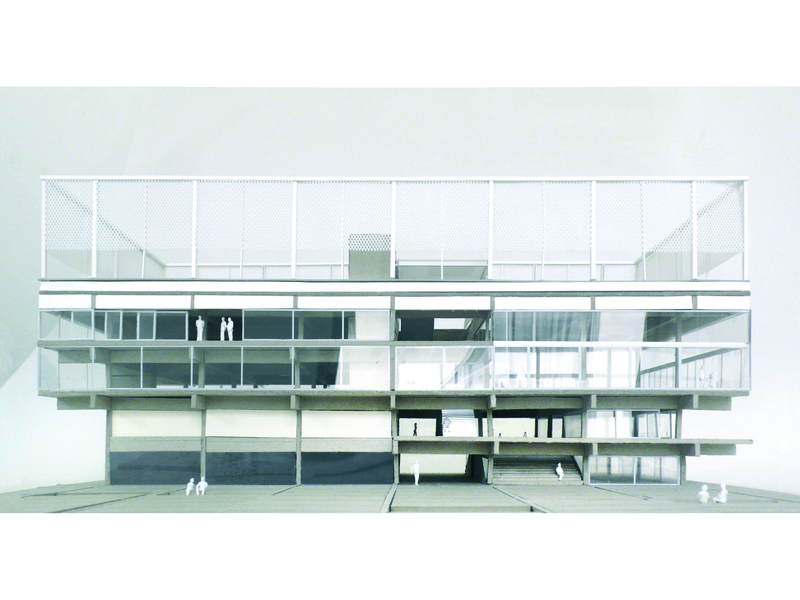 South façade on the plaza. 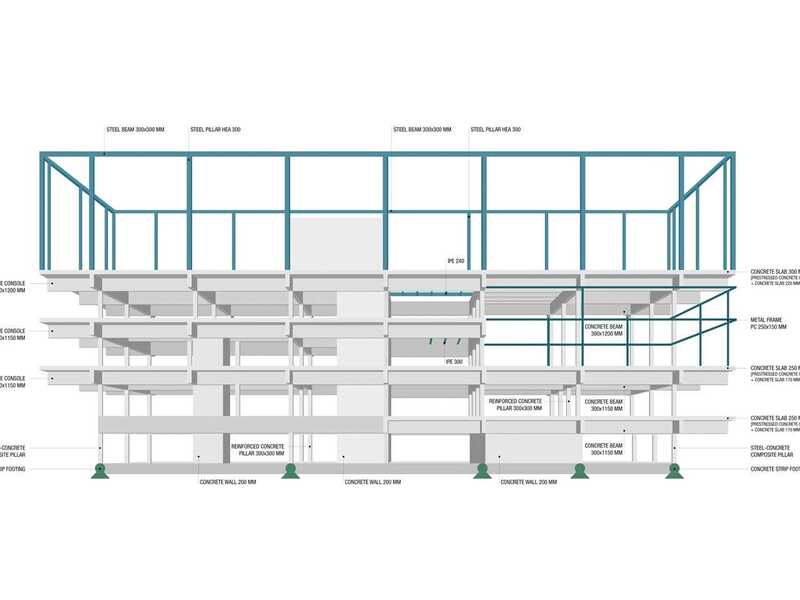 The project design minimizes the volume of materials used in construction, as well as taking maintenance and long-term reliability into account. 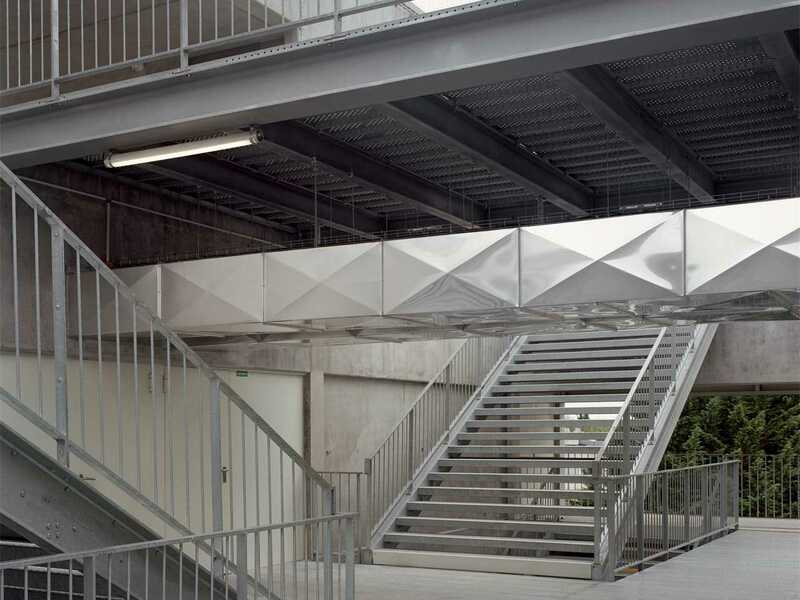 The staircase offers a continuous public space to connect the layering of independent programs. 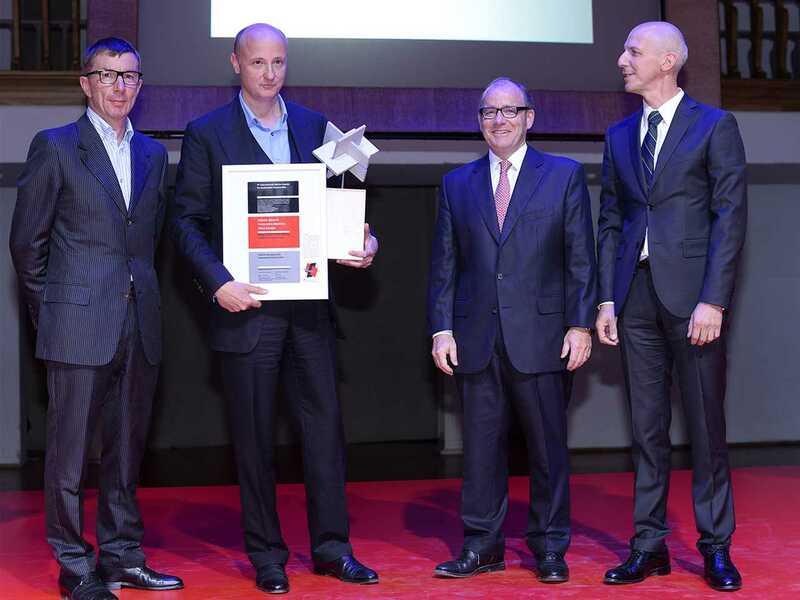 Presentation of the Holcim Awards Silver 2014 Europe for “Public Condenser: Low-cost flexible university building, Paris, France” (l-r): project author Gilles Delalex, Muoto, Paris; Ronan Venetz, Counsellor for transport, industry and sustainable development, Embassy of France in Moscow; Gerard Letellier, CEO Holcim France; Roland Köhler, Member of the Executive Committee responsible for Group region Europe, Holcim Ltd, Switzerland. 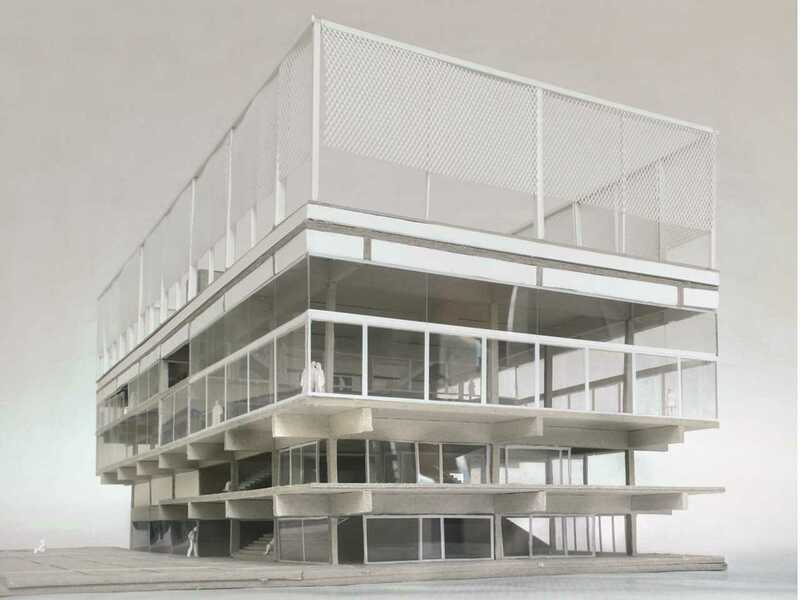 A team from Muoto architects (France) including Gilles Delalex won the Holcim Awards Silver 2014 for Public Condenser: Low-cost flexible university building, Paris, France. 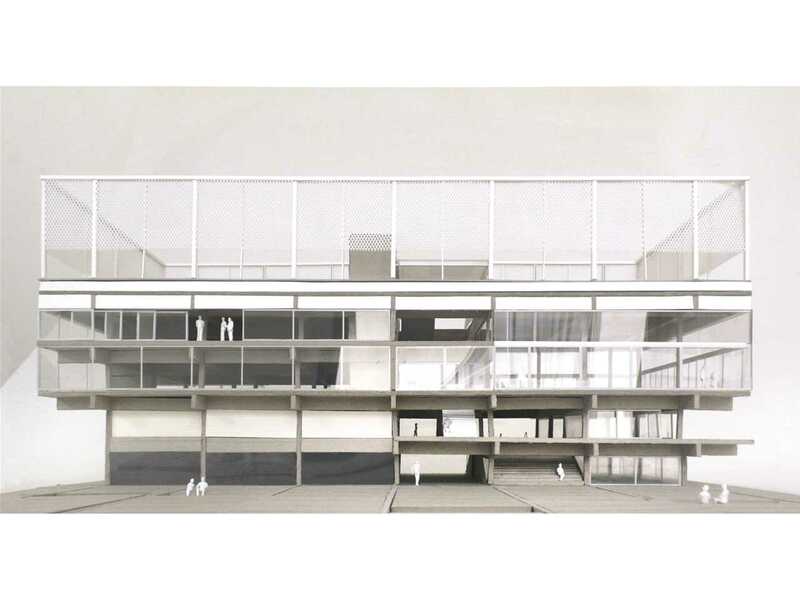 The jury acknowledged the minimal deployment of architectural and technical means that is resilient and adaptable to future needs. 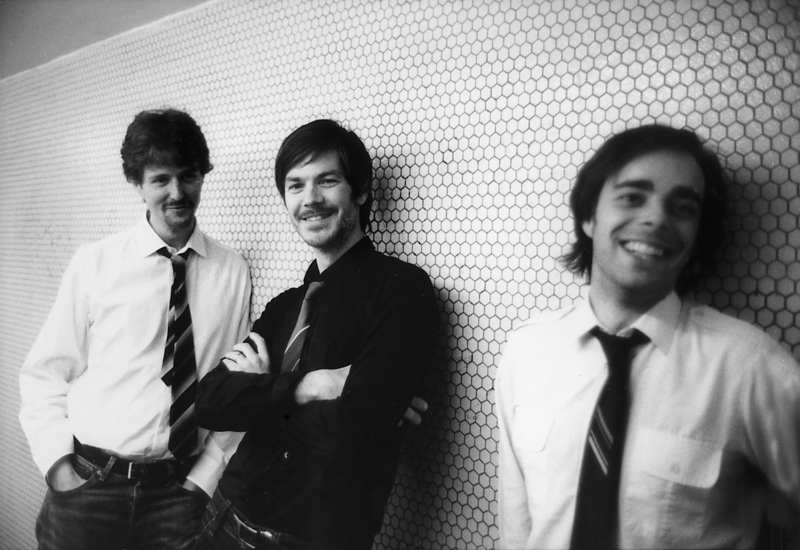 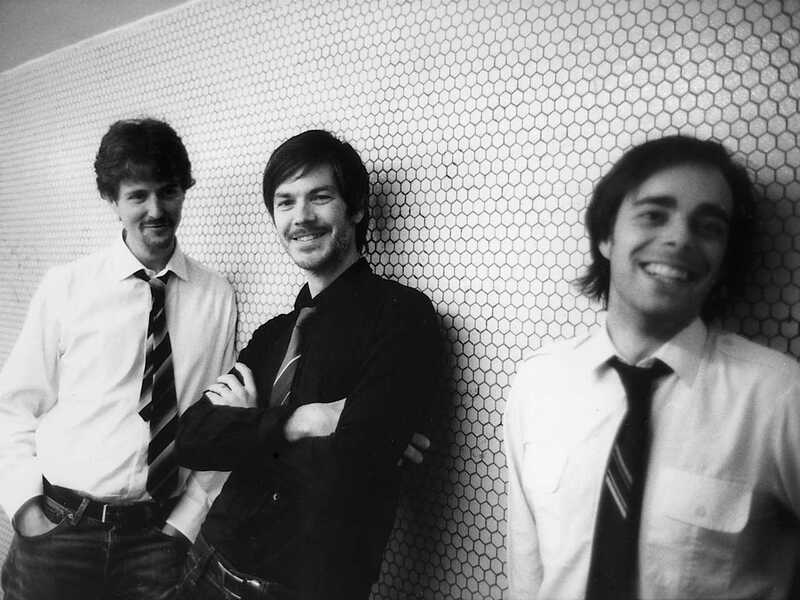 Yves Moreau, Thomas Wessel-Cessieux and Gilles Delalex. Lieu de vie on the new Paris-Saclay university campus hosts a mix of activities including indoor and outdoor sports facilities, food outlets and various public spaces across more than 4,000 sq m of floor area. 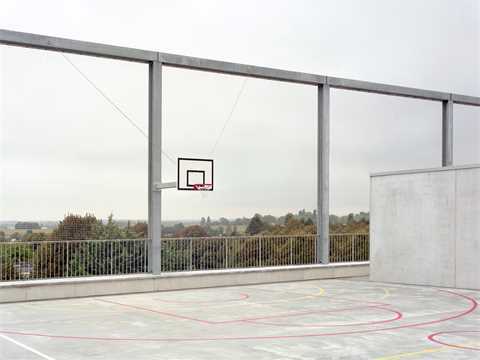 Conceived as a minimal structure using rough materials, robust and long lasting techniques, the “urban shelf” is organized vertically with its different activities superimposed on one another, using the roof as a panoramic playground for football and basketball games. Large windows allow the building to be opened up to create public space. 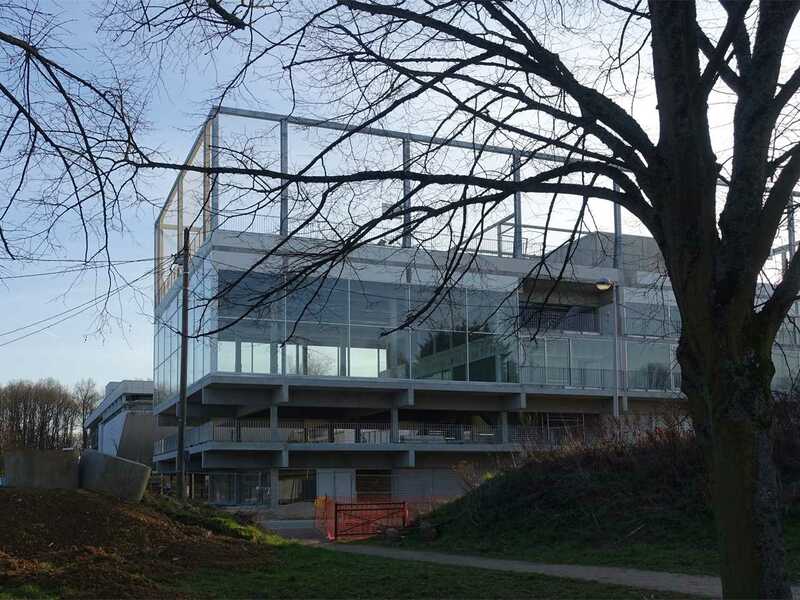 The Lieu de vie campus hub on the University of Paris-Saclay campus was opened in January 2016 and formally handed over to the university of May 31, 2016. The building includes a 1,000-seat student cafeteria. 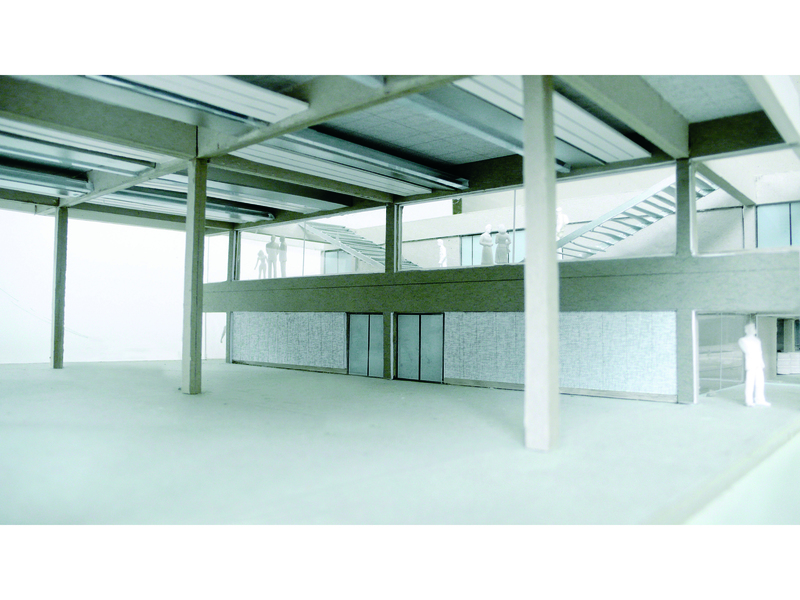 A thoroughfare on the ground floor encourages easy access and the flow of people through the structure. 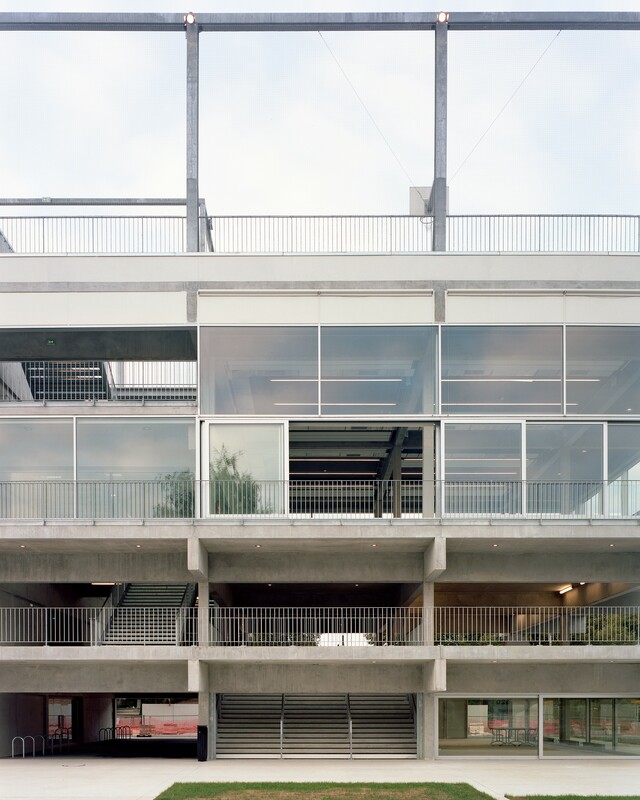 Access to rooftop sports field. 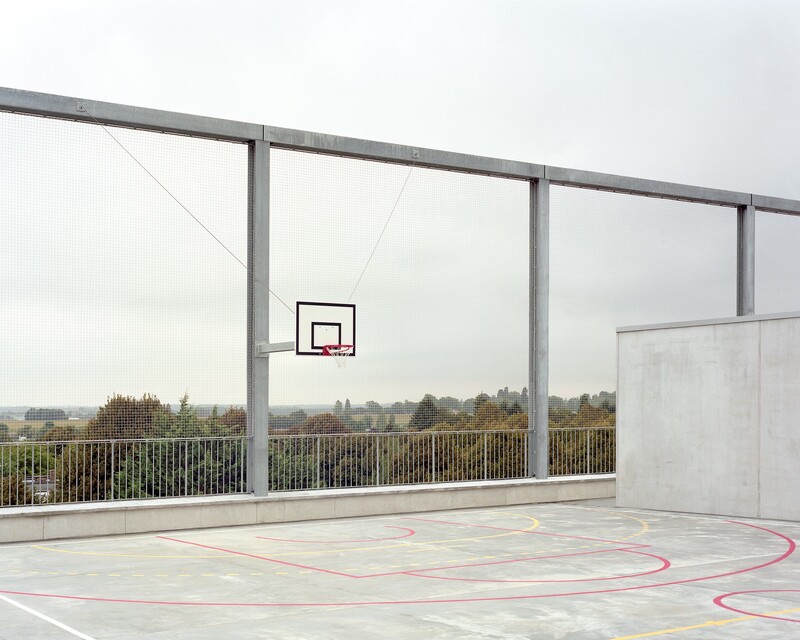 Panoramic playground on the roof is used for football and basketball. The different areas are linked by an open staircase allowing for independent accesses. A place to live, taking the form of an urban shelf, accessible to all campus visitors, day or night. 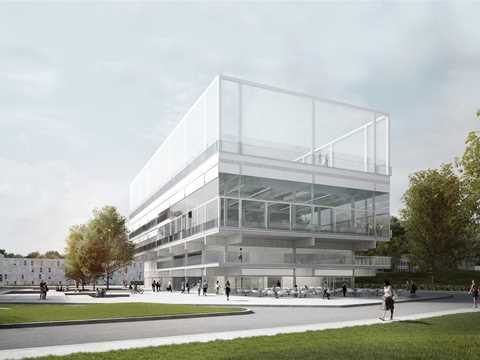 The Lieu de vie campus hub at the University of Paris-Saclay was opened in January 2016 and formally handed over to the university on May 31, 2016. 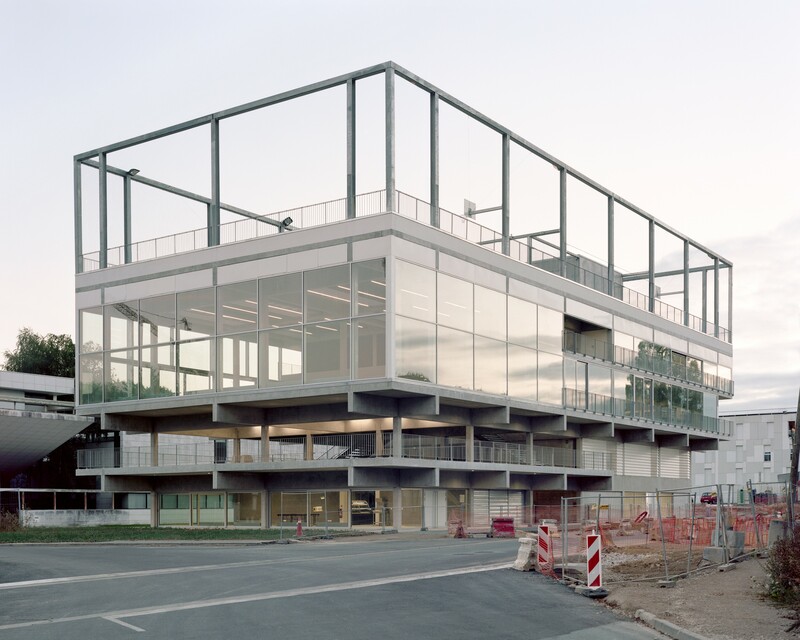 Designed by architects Gilles Delalex, Yves Moreau and Thomas Wessel-Cessieux from Muoto architects, the LafargeHolcim Awards Silver winner for Europe merges economic and aesthetic considerations, and turns the limitation of low-cost construction into one of the building’s great strengths. Conceived as a minimal structure using rough materials, robust and long lasting techniques, the 2,000 square-meter “urban shelf” is organized using the idea of “vertical diversity”. 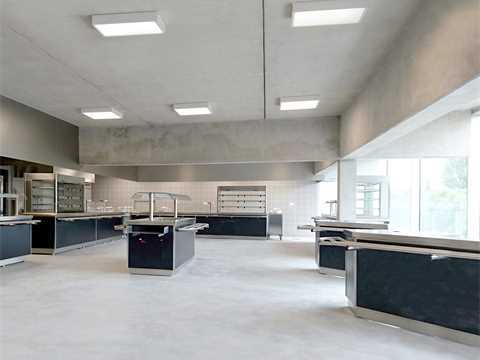 Different activities are superimposed upon one another including a 1,000-seat student cafeteria, fitness and weights rooms, a lively terrace, all crowned with a panoramic sportsground on the roof that is used for football and basketball games. 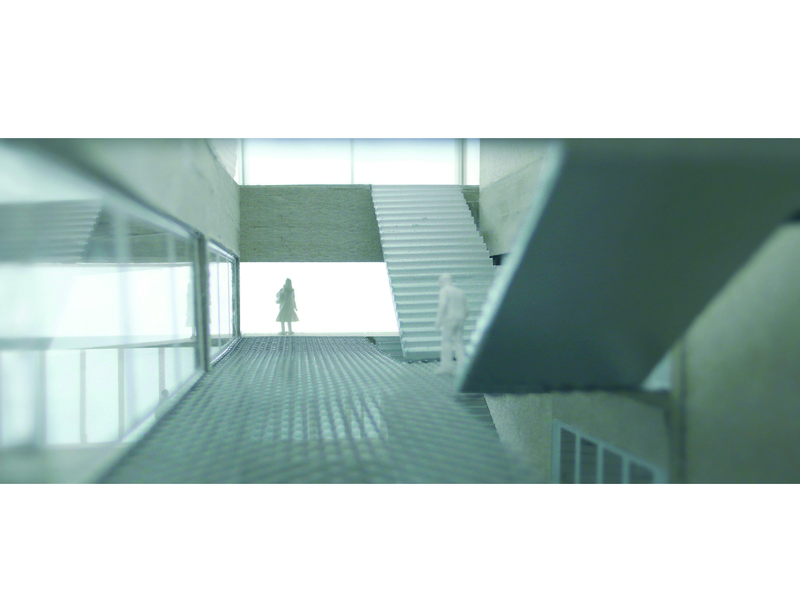 Large windows allow the building to be opened up to create public space, and a thoroughfare on the ground floor encourages easy access and the flow of people throughout this social hub of university life. 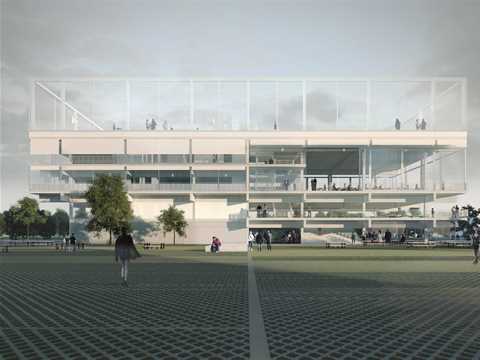 Dubbed the “French Silicon Valley”, construction of the ambitious University of Paris-Saclay campus after decades of planning brings together a group of 19 higher education institutions on the outskirts of Paris. 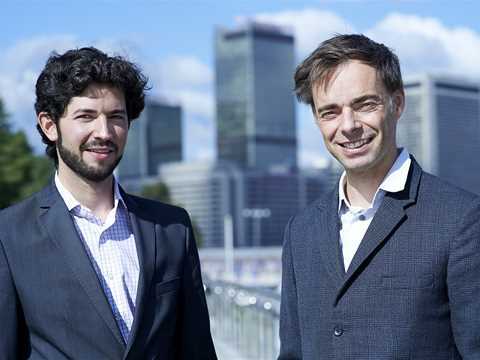 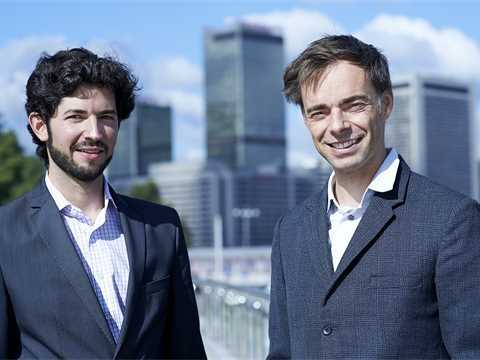 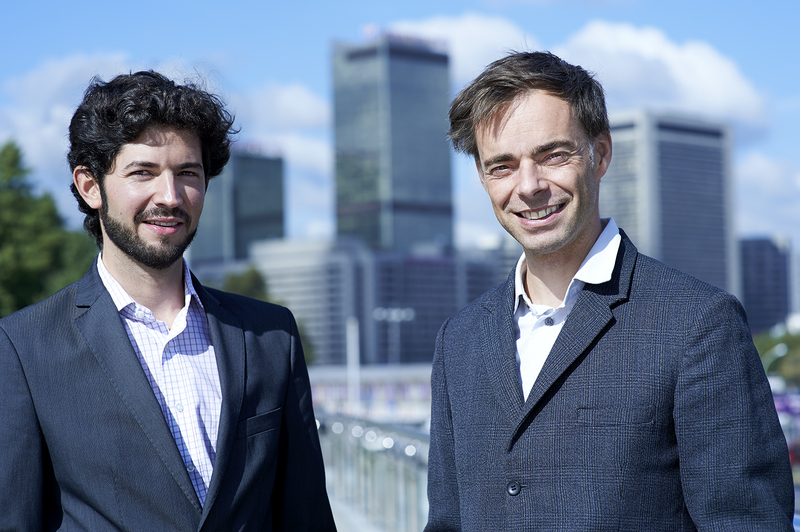 Watch project author Gilles Delalex (left) present the building concept [in French] at a Pecha Kucha night dedicated to the University of Paris-Saclay campus from November 2014. 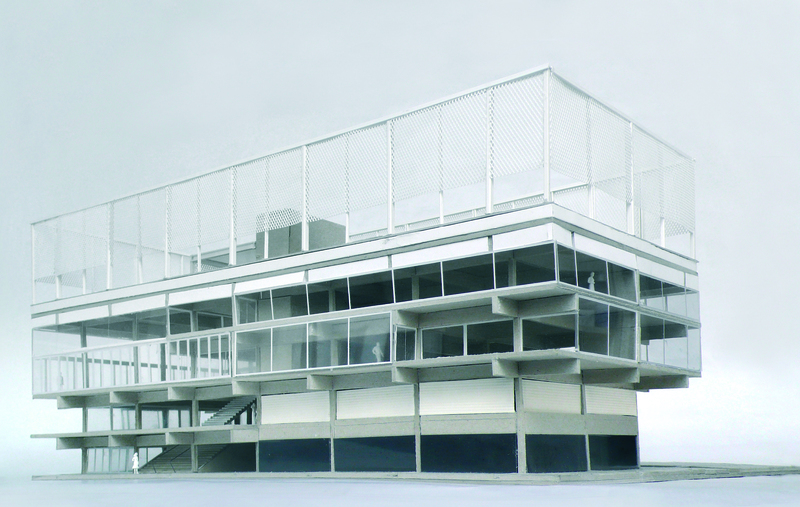 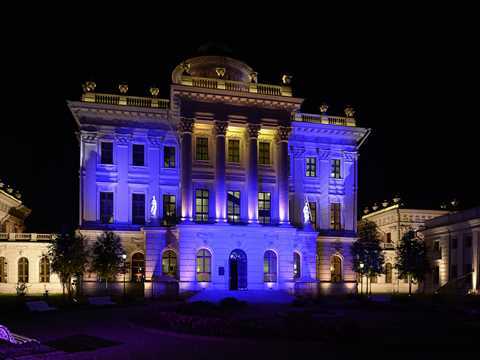 The specific detailing of the project is conceived around a minimum range of materials, mostly derived from industrial construction techniques. 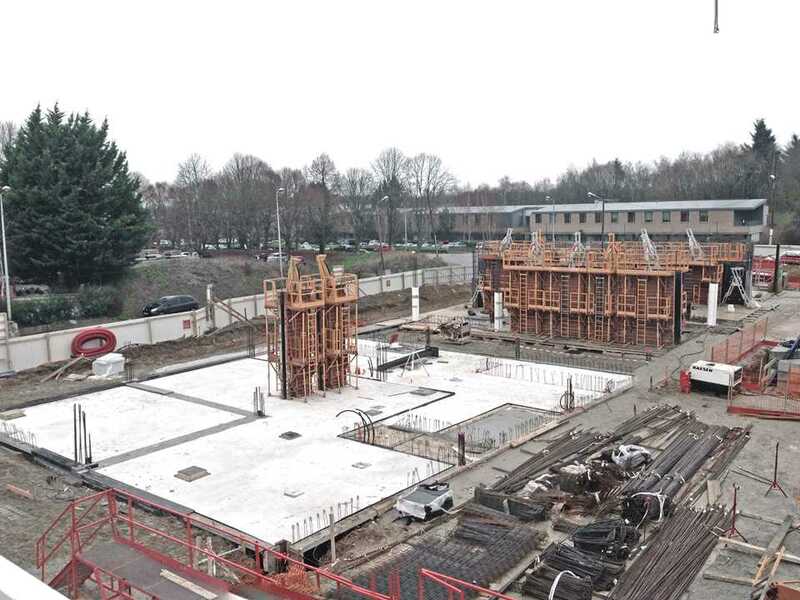 Construction started on the Lieu de vie building in October 2014, with completion planned for March 2016. 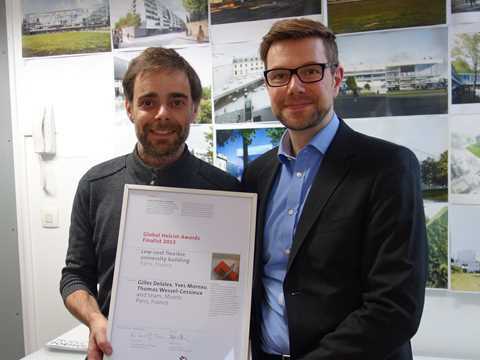 Gilles Delalex (left) representing the Global Awards finalist team from Muoto architects receives the finalist certificate from Dominik Baumann, Head of Communications, LafargeHolcim Foundation. 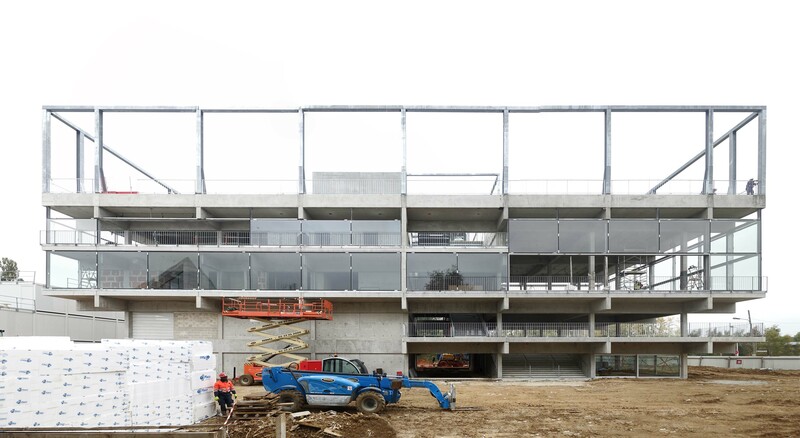 A multipurpose building to house indoor and outdoor sports facilities, cafés, street terraces and a pedestrian square is taking shape on the new university campus of Paris-Saclay. Designed by architects Gilles Delalex, Yves Moreau and Thomas Wessel-Cessieux from Muoto architects, the Lieu de vie hub building is a low-cost structure that remains highly adaptable to changes to its function and use on the campus in the future. 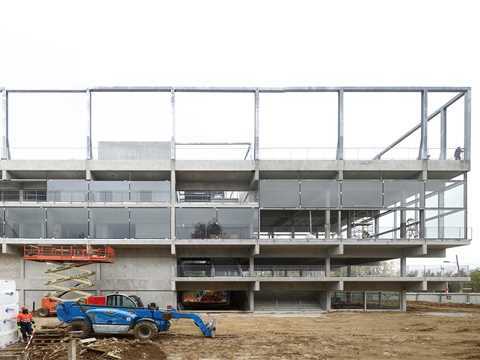 The building is scheduled for completion in March 2016. 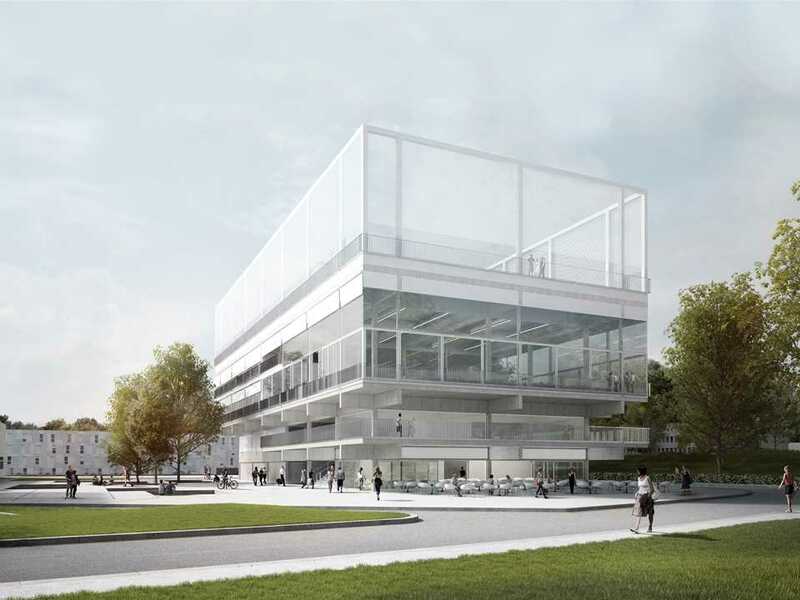 Construction of the ambitious University of Paris-Saclay campus after decades of planning will bring together a group of 19 higher education institutions on the outskirts of Paris. Dubbed the “French Silicon Valley”, the campus became operational for the start of the academic year in September 2015. 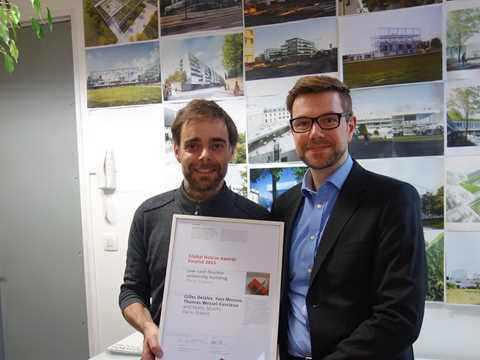 During a visit at Studio Muoto in Paris, Gilles Delalex updated the Foundation on the status of his project, and received a certificate to commemorate that Public Condenser was among the 15 finalist projects that vied for the Global Awards in 2015. The architects of Muoto designed a recreation center to link a number of universities on the evolving campus of Paris-Saclay. 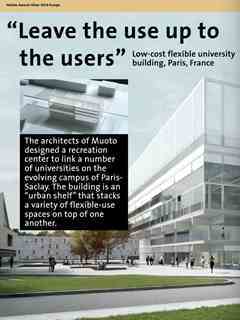 The building is an “urban shelf” that stacks a variety of flexible-use spaces on top of one another. 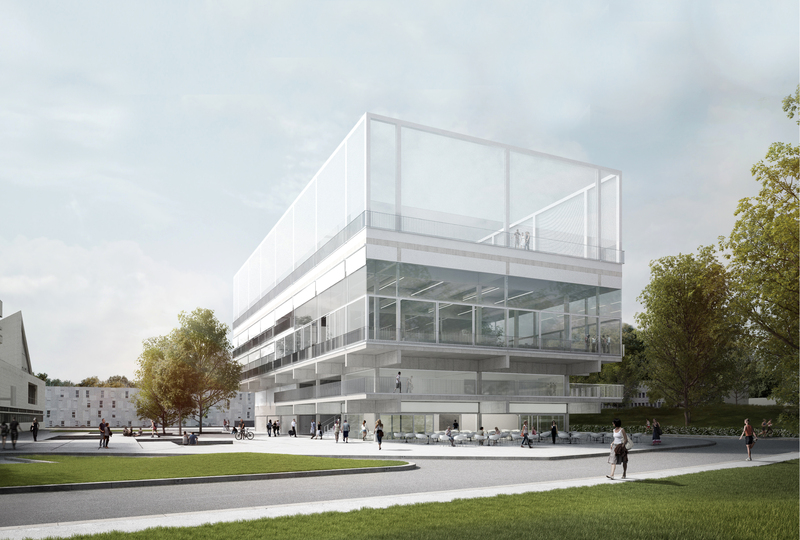 The Lieu de vie by Muoto Architectes occupies a strategic point between the planned new building of the École Centrale Paris and the planned Metro station. 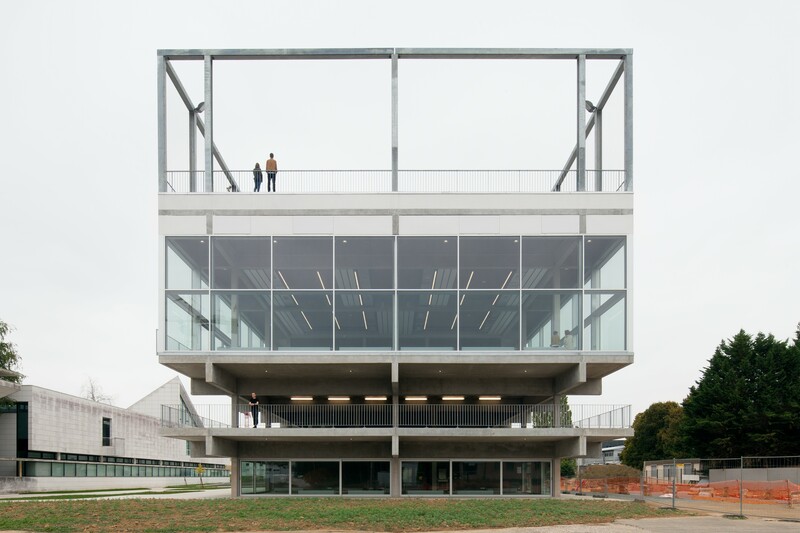 Because it is to function as a hub of the growing campus, the architects of Muoto designed it as a free-standing building with no discernible front or back. 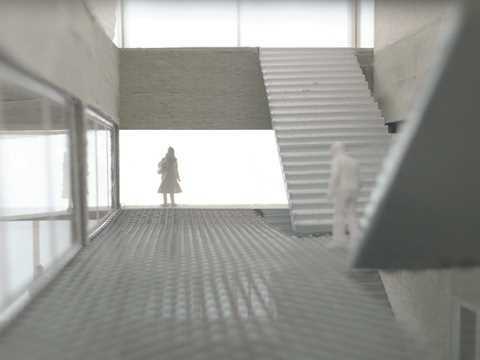 It can be entered from all directions, and all entry points are connected via open passageways on the ground floor. 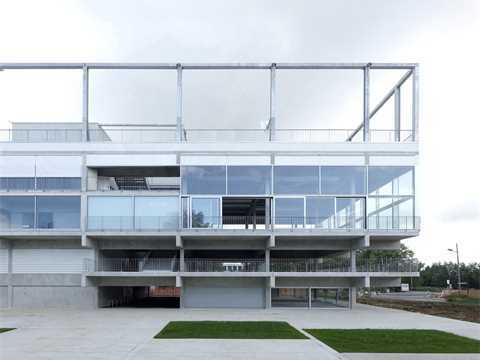 The building is designed as a compact box, but the structure, with fine concrete beams, seems light – and thanks to the large glazed areas and a minimum of interior partitions, the whole is quite transparent. The building is conceived as a minimal structure that uses rough materials, robust and long-lasting techniques, and vertical stacking to superimpose different activities above one another. 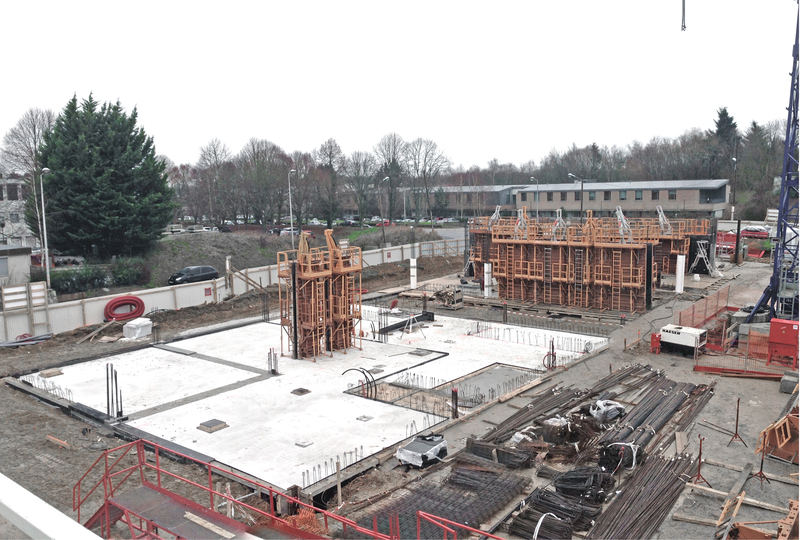 Construction site: January 26th, 2015. 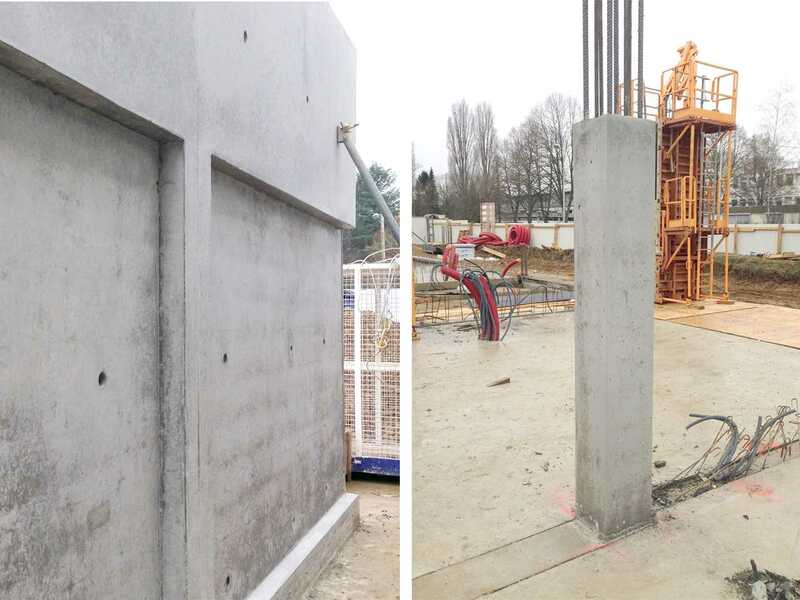 Concrete wall and columns prototype. 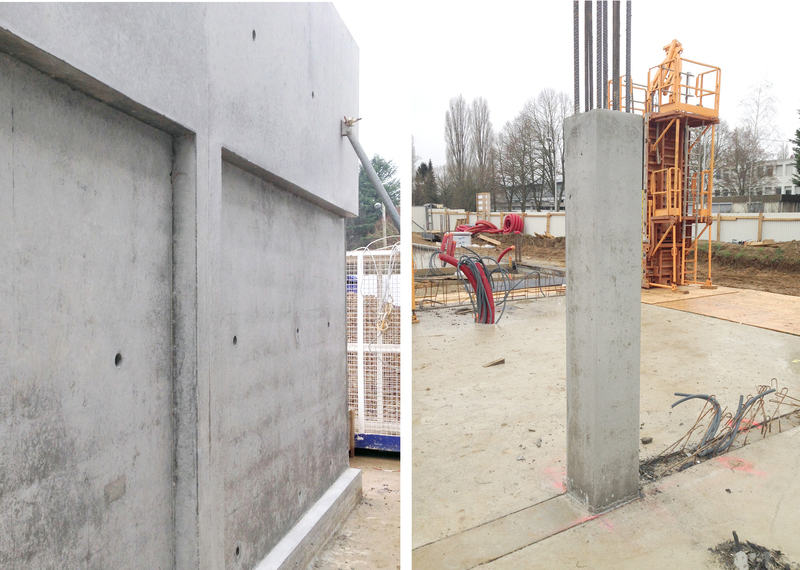 Construction site: January 28th, 2015. 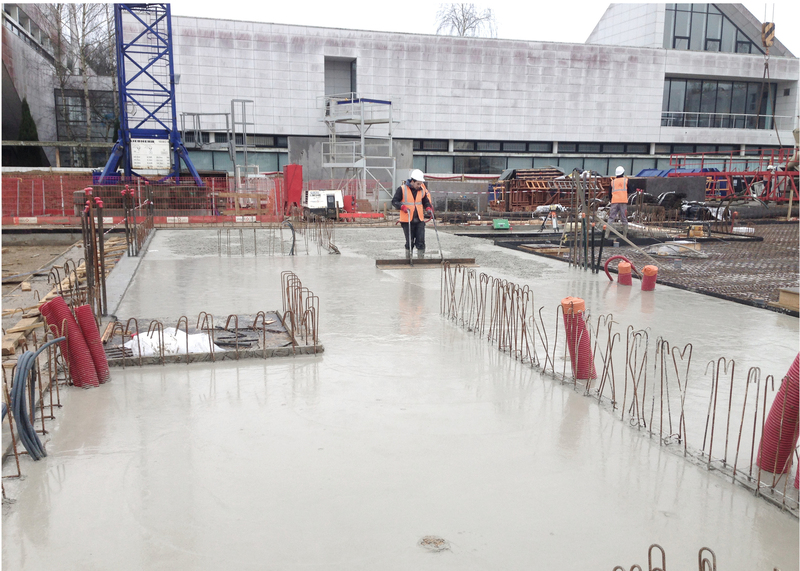 First concrete slab poured on site. 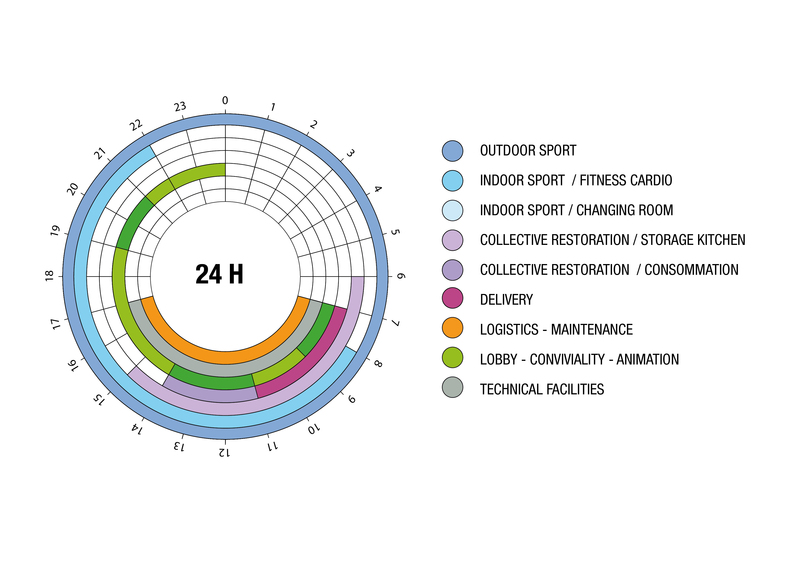 Time slots: Maximizing the opening of the time building. 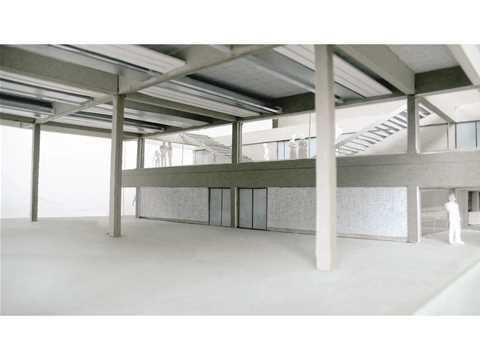 Inside view of the restaurant toward the staircase. 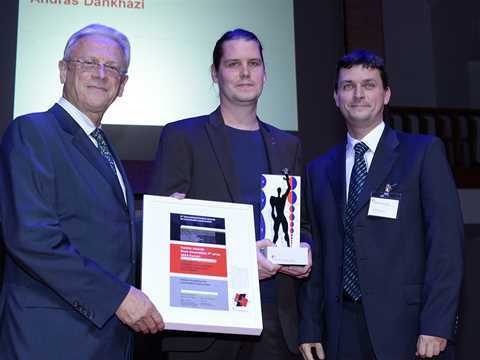 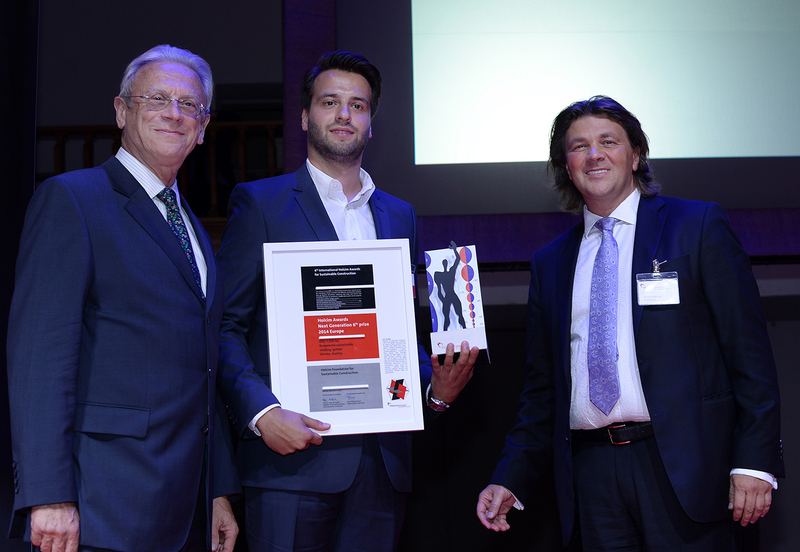 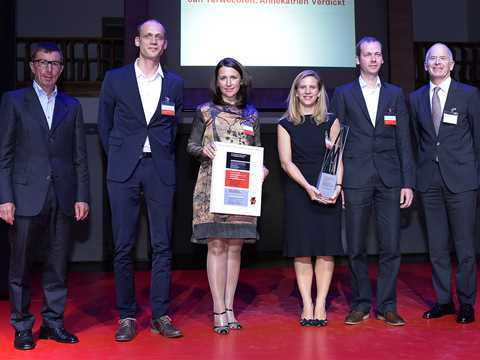 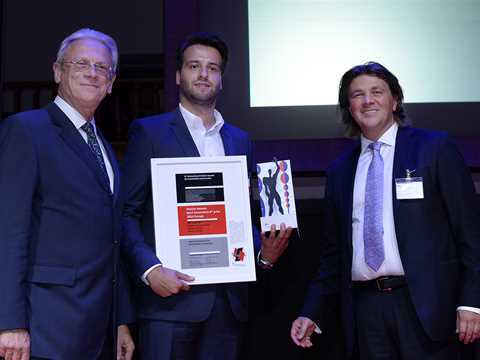 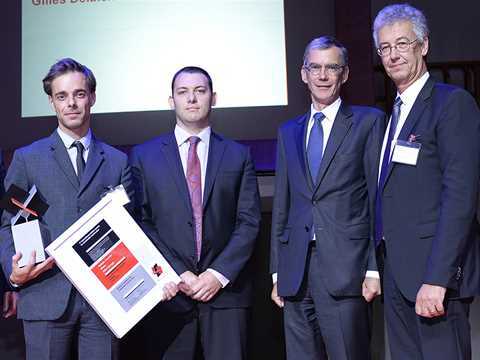 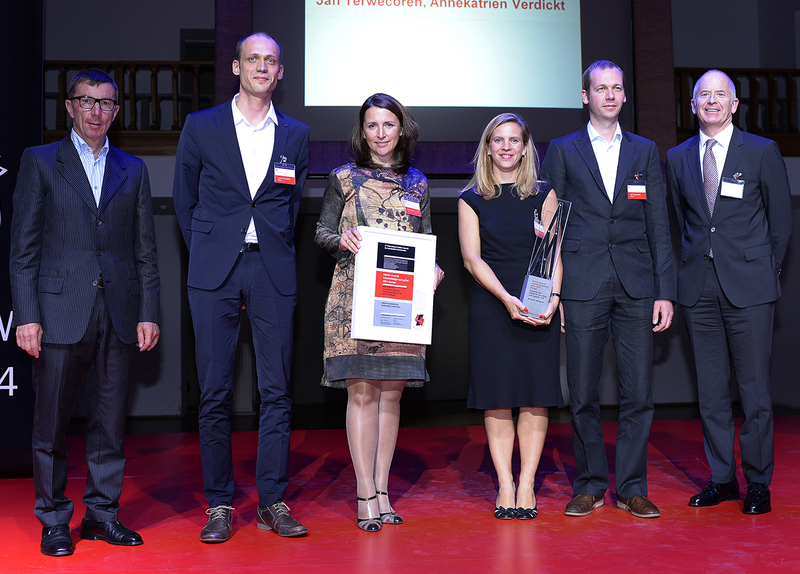 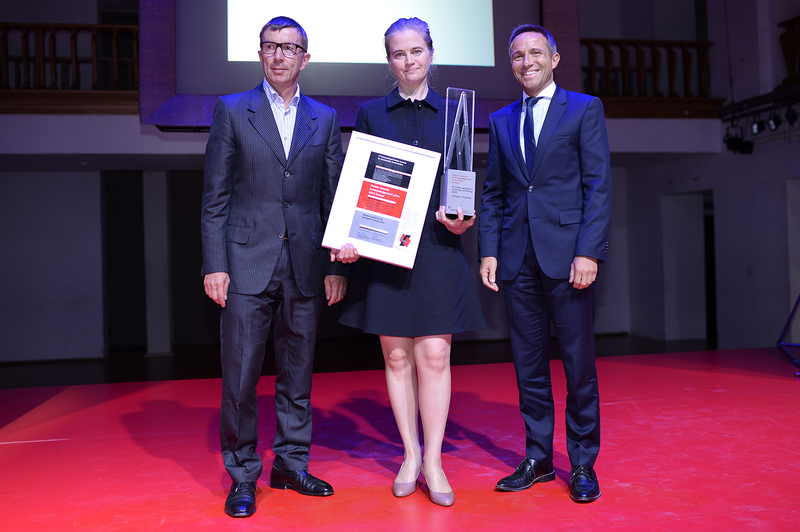 As one of the three main Holcim Awards winners for Europe in 2014, “Public Condenser” automatically qualified as a finalist in the Global Holcim Awards 2015. 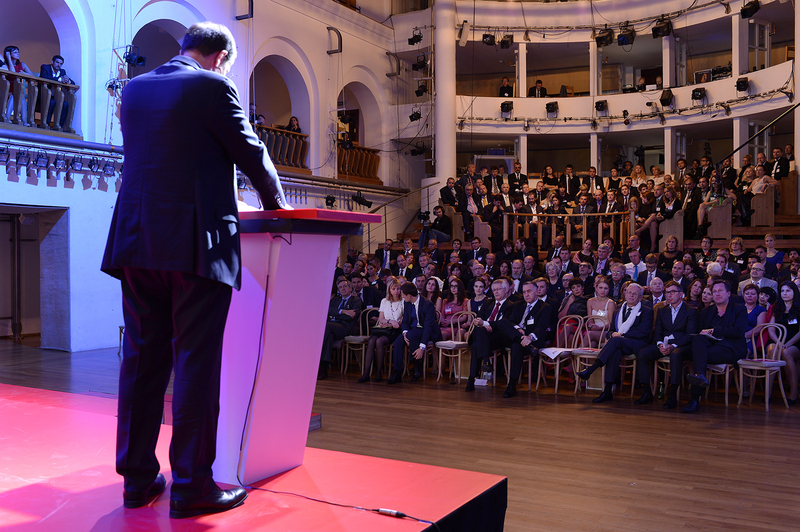 All 15 finalist project teams were asked to submit an updated and more comprehensive entry that was evaluated by a global jury in March 2015. 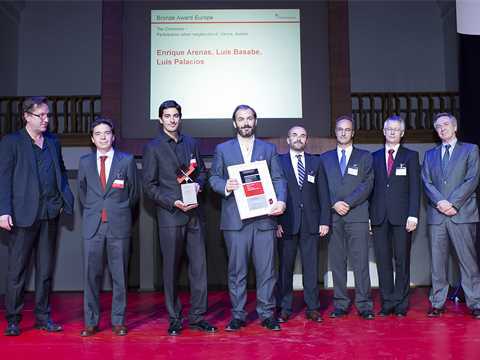 The results of the global phase of the 4th Holcim Awards competition were announced on April 20, 2015. 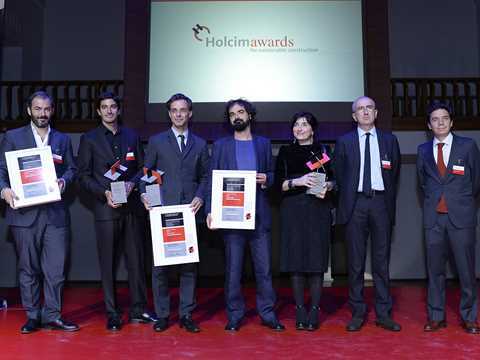 The winners of the global phase of the 4th International Holcim Awards competition will be revealed on April 20, 2015. 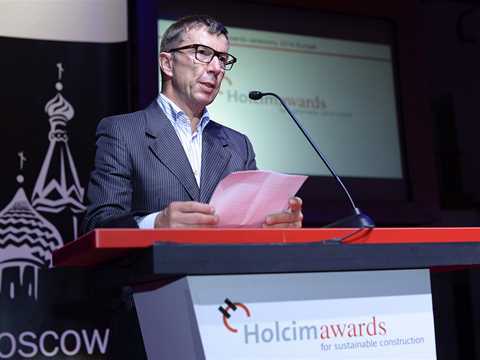 The results will be announced via the Holcim Awards website www.holcimawards.org. 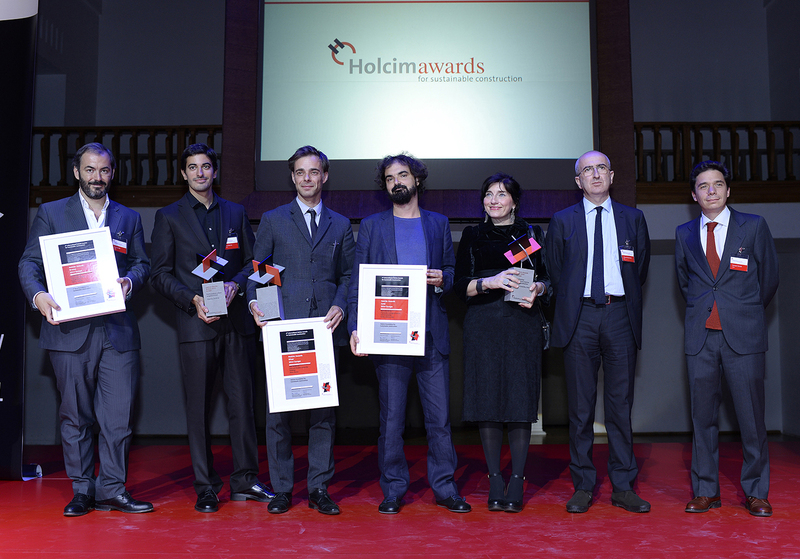 The USD 2 million Holcim Awards is the most significant international competition for sustainable design. 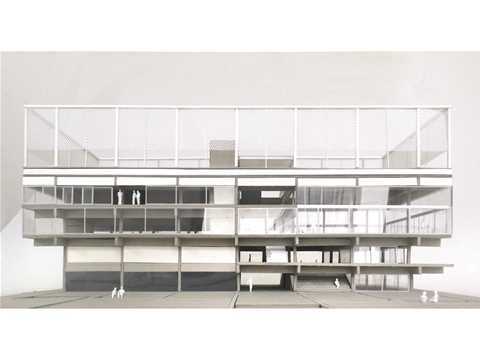 The jury composed of renowned specialists from around the world and headed by Mohsen Mostafavi, Dean of the Graduate School of Design at Harvard University (USA) will evaluate 15 projects out of more than 6,000 submissions. 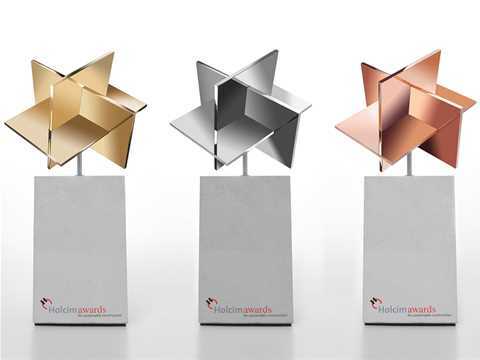 The finalists are the winners of the Holcim Awards Gold, Silver, and Bronze Awards 2014 in each of the five competition regions of the world. The finalist projects competing for one of the three Global Holcim Awards prizes are located in Austria, Colombia, Costa Rica, Ethiopia, France, Italy, Lebanon, Mexico, Nepal, Sri Lanka, Thailand, Turkey, and the USA and were entered by authors from these countries as well as from Germany, the Netherlands, and Spain. They reflect a broad variety of the current interpretation of sustainable construction combined with architectural excellence and enhanced quality of life beyond technical intervention. 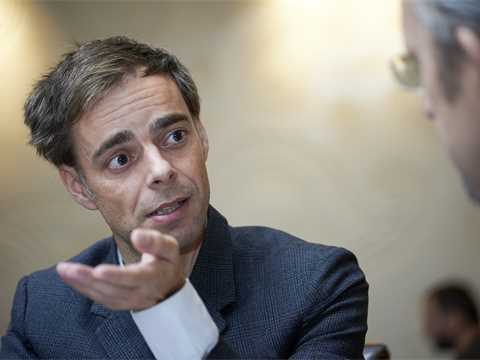 The submissions will be evaluated by the Global Holcim Awards 2015 jury including Marc Angélil, Senior Dean of Architecture and Urban Design at the Swiss Federal Institute of Technology (ETH Zurich, Switzerland), Alejandro Aravena, Principal of Elemental (Chile), Maria Atkinson, Founding Director of the Australian Green Building Council (Australia), Meisa Batayneh Maani, Principal of maisam architects and engineers (Jordan), Yolanda Kakabadse, President of WWF International (Ecuador), Mohsen Mostafavi, Dean of the Graduate School of Design at Harvard University (USA), Matthias Schuler, Principal of Transsolar(Germany), and Rolf Soiron, Chairman of the Board of the Holcim Foundation (Switzerland). 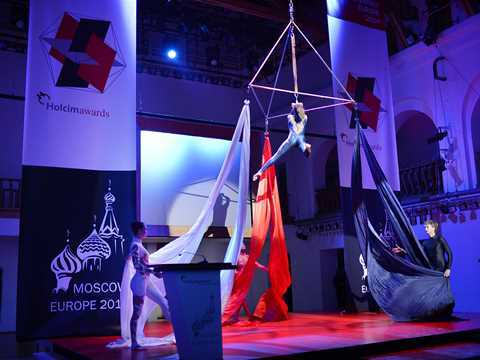 The winners of the global prizes will share prize money of USD 350,000. Previous winners of the tri-annual Global Holcim Awards include Bureau EAST (Los Angeles, USA), Centola + Associati (Salerno, Italy), Coelacanth and Associates (Tokyo, Japan), Ingenhoven und Partner Architekten (Dusseldorf, Germany), Kéré Architecture (Berlin, Germany), L’OEUF (Montreal, Canada), Public Architecture (San Francisco, USA), Proyectos Arqui5 (Caracas, Venezuela), realities:united (Berlin, Germany), Tsinghua University (Beijing, China), and Urban-Think Tank (São Paulo, Brazil). 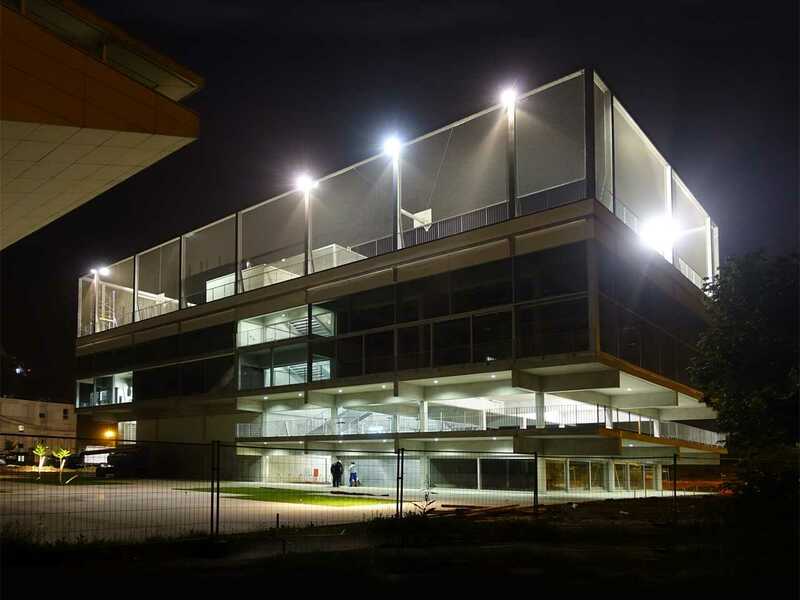 The Swiss-based Holcim Foundation promotes and illustrates the strength of diverse strategies of achieving greater sustainability of the built environment. 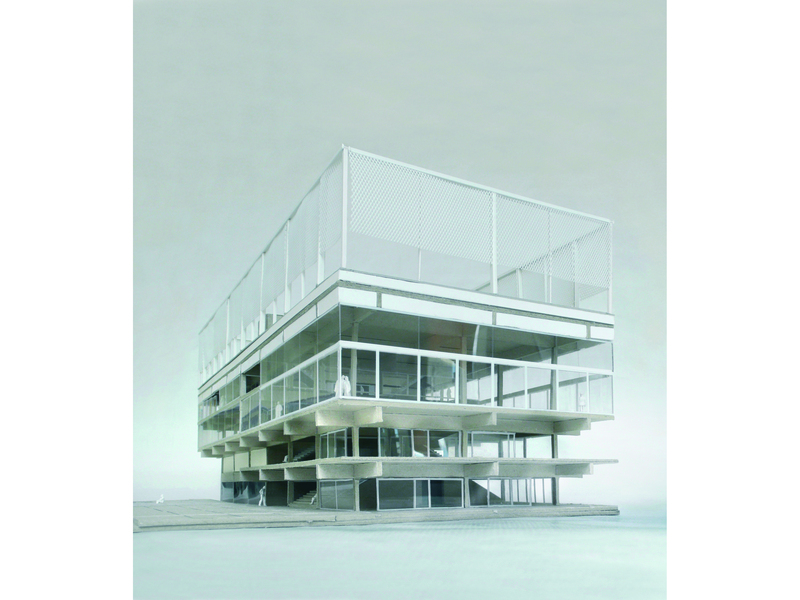 As part of its approach, the Foundation publishes booklets on outstanding examples of applied sustainable construction. 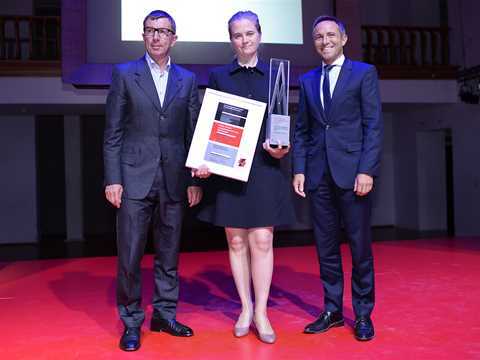 The initiatives of the Holcim Foundation include the USD 2 million Holcim Awards – the most significant international competition for sustainable design. 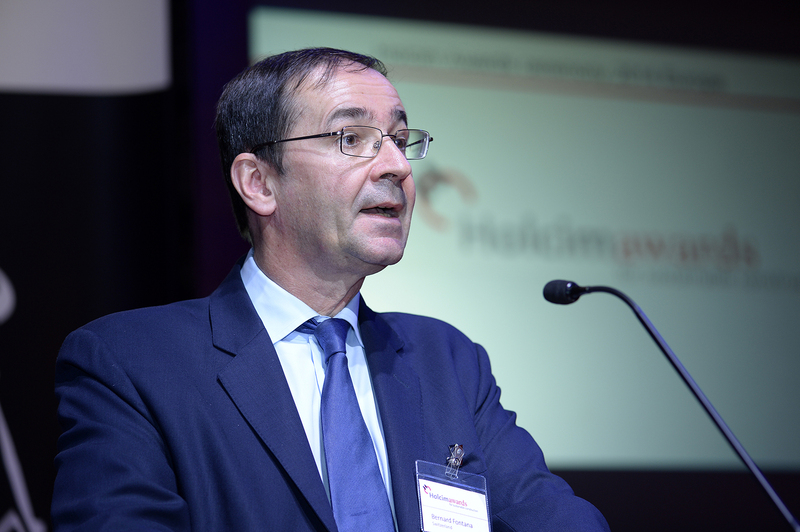 Since it was established in 2003, the Foundation has been supported by Holcim in more than 70 countries worldwide and is independent of commercial interests. 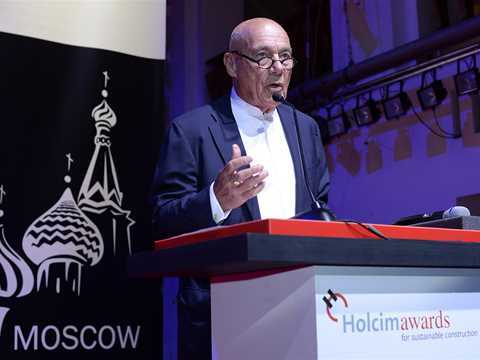 Holcim is one of the world’s leading suppliers of cement and aggregates (crushed stone, gravel and sand) as well as further activities such as ready-mix concrete and asphalt, including services. 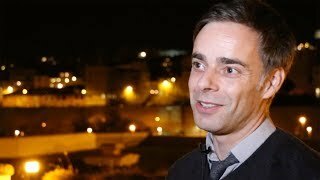 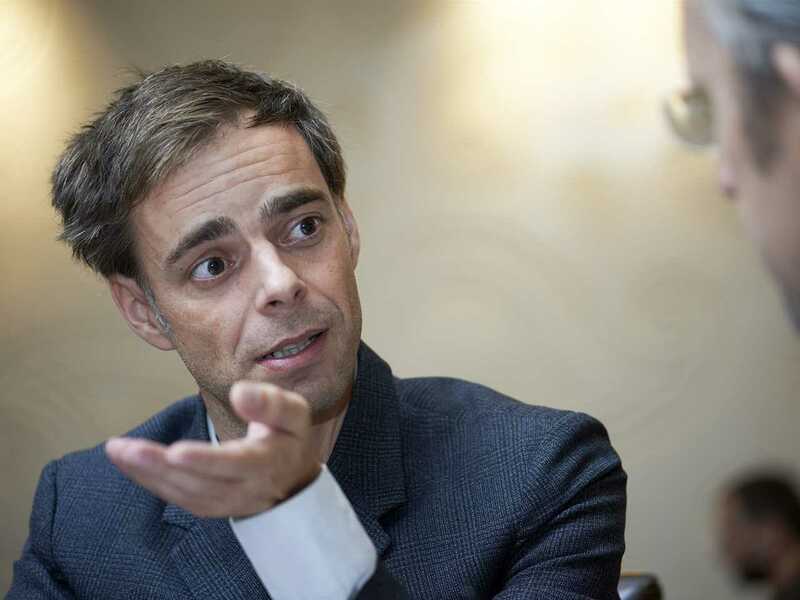 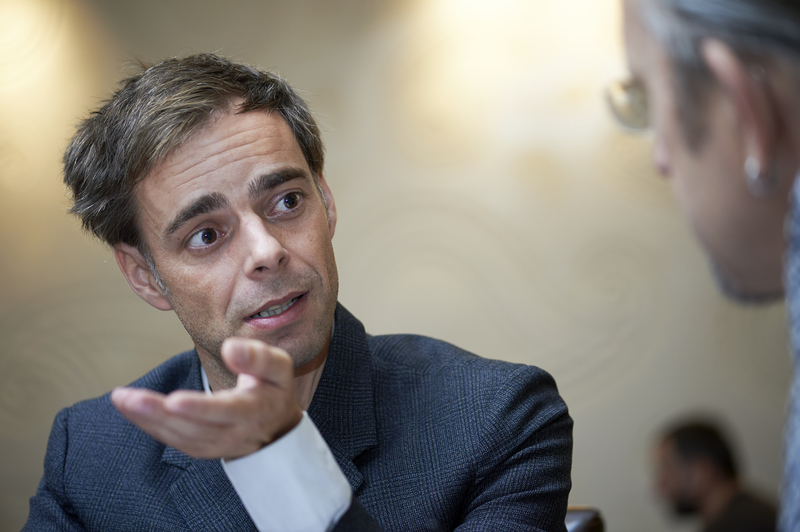 Architect Gilles Delalex of Muoto, France explains the key sustainability aspect of his prize-winning project, and the team’s motivation for entering the Holcim Awards competition: as sustainable as possible using the minimum amount of materials necessary. 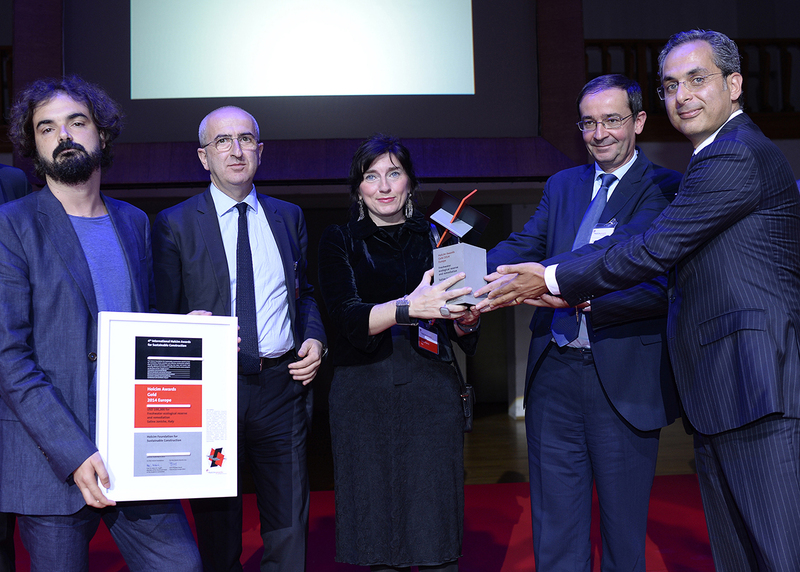 “Public Condenser - Low-cost flexible university building, Paris, France” won the Holcim Awards Silver and was praised by the jury for its minimal deployment of architectural and technical means, considered a remarkable contribution to sustainable construction. 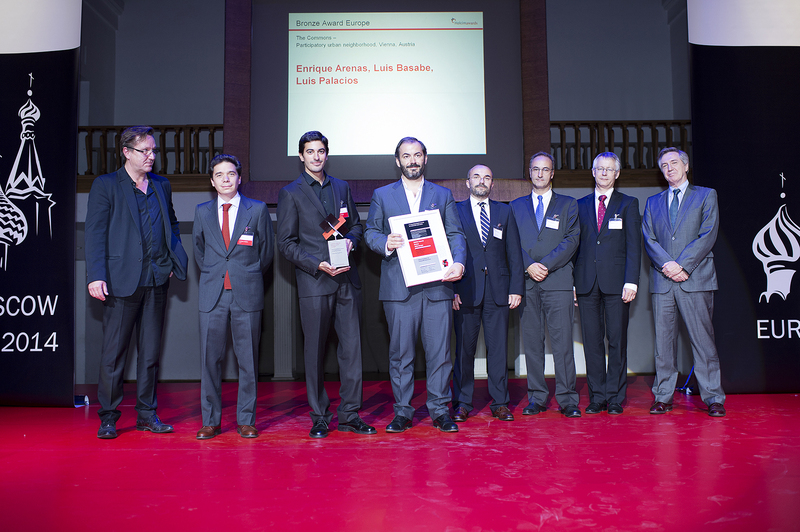 Presentation of the Holcim Awards Bronze 2014 Europe for “The Commons: Participatory urban neighborhood, Vienna, Austria” (l-r): Jury representative, Arno Brandlhuber, brandlhuber+, Berlin, Germany; project authors Enrique Arenas, Luis Palacios and Luis Basabe, Arenas Basabe Palacios arquitectos, Madrid, Spain; Josef Nowak, Managing Director Holcim Vienna; Feliciano Gonzales, CEO Holcim Spain; Urs Fankhauser, Holcim Area Manager Western Europe; and Luis Cacho, Chief Counselor for Economics, Embassy of Spain in Moscow. 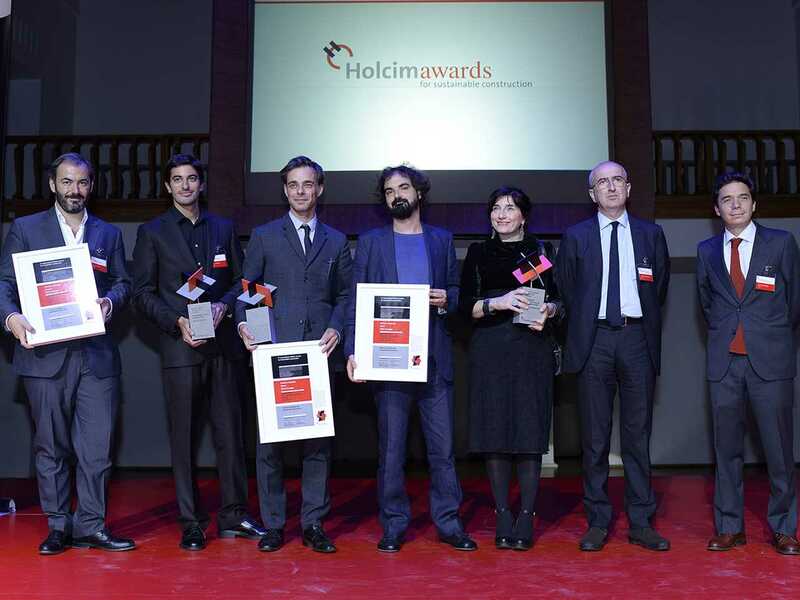 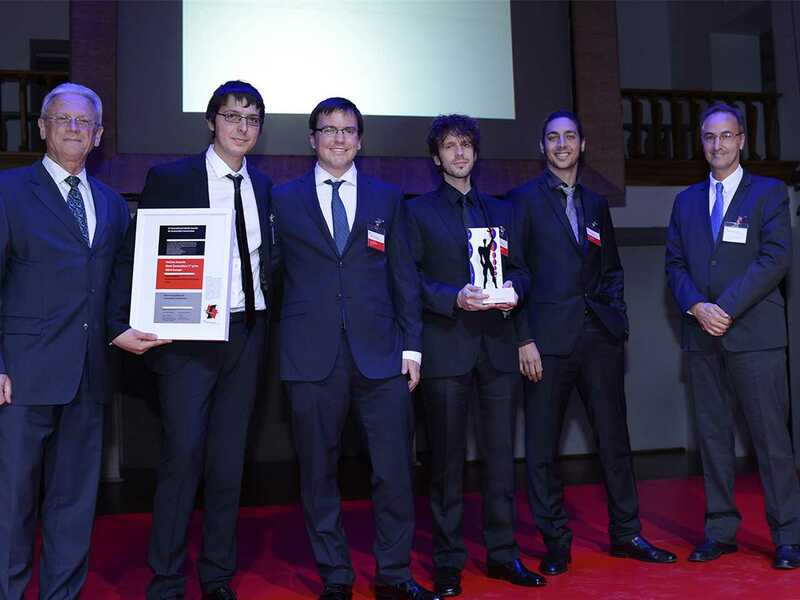 Winners of the Holcim Awards 2014 Europe main prizes (l-r): Luis Basabe and Luis Palacios (Bronze); Gilles Delalex (Silver); Francisco Leiva, Lucia Pierro and Marco Scarpinato (Gold); and Enrique Arenas (Bronze). 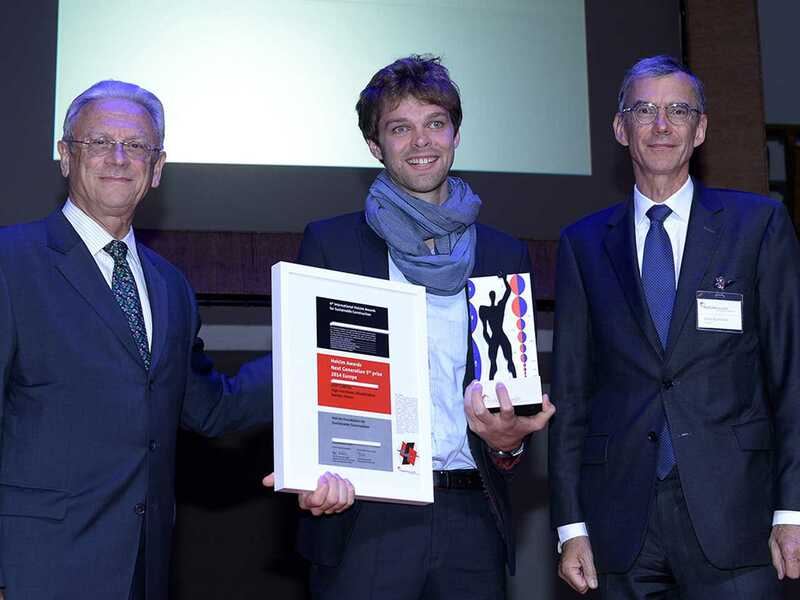 Presentation of the Holcim Awards Honorable Mention 2014 Europe for “Circular Voids: Energy-efficient office building, Holderbank, Switzerland” (l-r): Harry Gugger, Member of the Board of the Holcim Foundation, Switzerland; Honorable Mention recipient Christian Kerez, Christian Kerez AG, Zurich, Switzerland; Kaspar E.A. 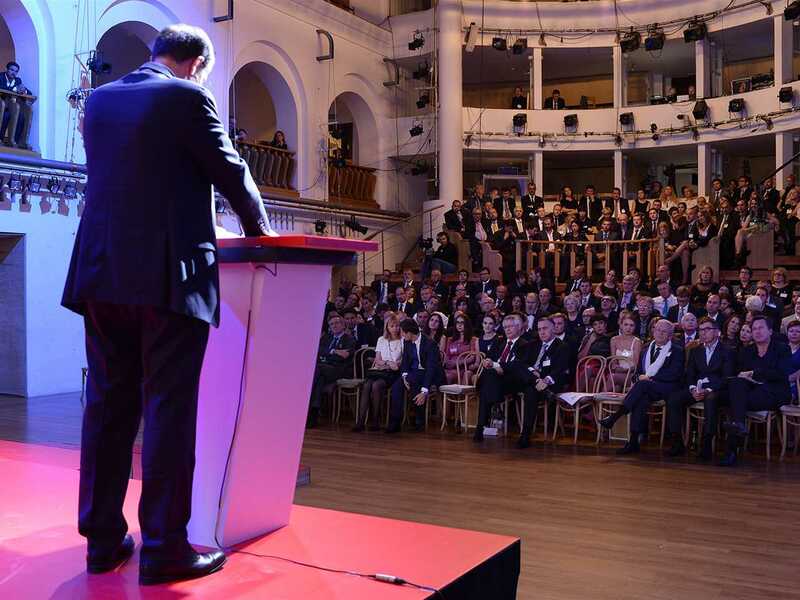 Wenger, Holcim Area Manager Central Europe, and CEO Holcim Switzerland; Julien Thöni, Head of the Economic Division, Embassy of Switzerland in Moscow. Presentation of the Holcim Awards Acknowledgement prize 2014 Europe for “Aggregate Structure: Reusable aggregates requiring no binding agent, Stuttgart, Germany” (l-r): Harry Gugger, Member of the Board of the Holcim Foundation, Switzerland; Acknowledgement prize recipient Karola Dierichs, Institute for Computational Design, University of Stuttgart, Germany; and Urs Kern, CEO Holcim Southern Germany. Presentation of the Holcim Awards Acknowledgement prize 2014 Europe for “Material Flows: Construction materials recycling and logistics hub, Brussels, Belgium” (l-r): Harry Gugger, Professor for Architectural & Urban Design, Swiss Federal Institute of Technology (EPFL), and Member of the Board of the Holcim Foundation, Switzerland; Lieven De Groote, Ana Castillo, Annekatrien Verdickt and Jan Terwecoren, TETRA architecten, Brussels, Belgium; and Louis Beauchemin, CEO Holcim Belgium and Netherlands. 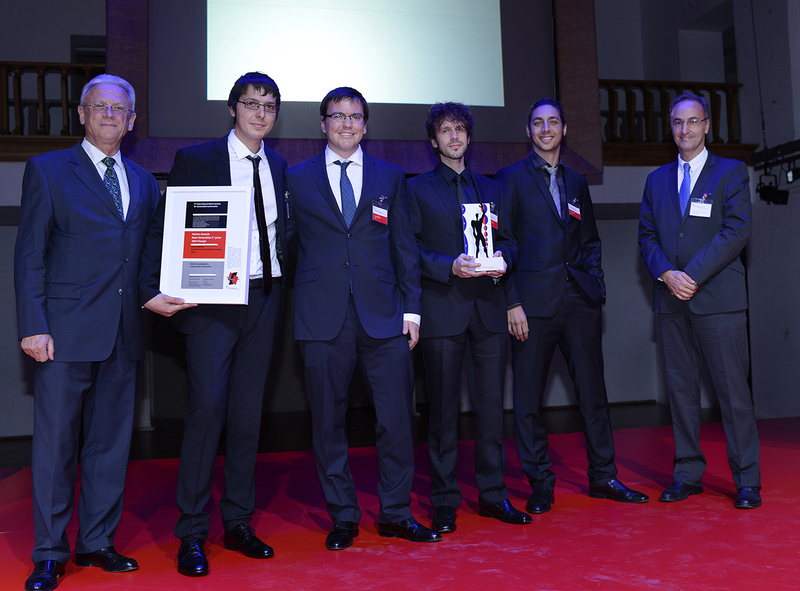 Presentation of the Holcim Awards “Next Generation” 1st prize 2014 Europe for “X Marks the Spot: Socially-focused architectural design, Pujaire and Roquetas de Mar, Almería, and Madrid, Spain” (l-r): Claude Fussler, Founding member of the Board of the Holcim Foundation, France; Héctor Muñoz, Ignacio Taus, Ricardo Mayor and Hani Jaber, DAT Pangea, Madrid, Spain; and Feliciano Gonzales, CEO Holcim Spain. 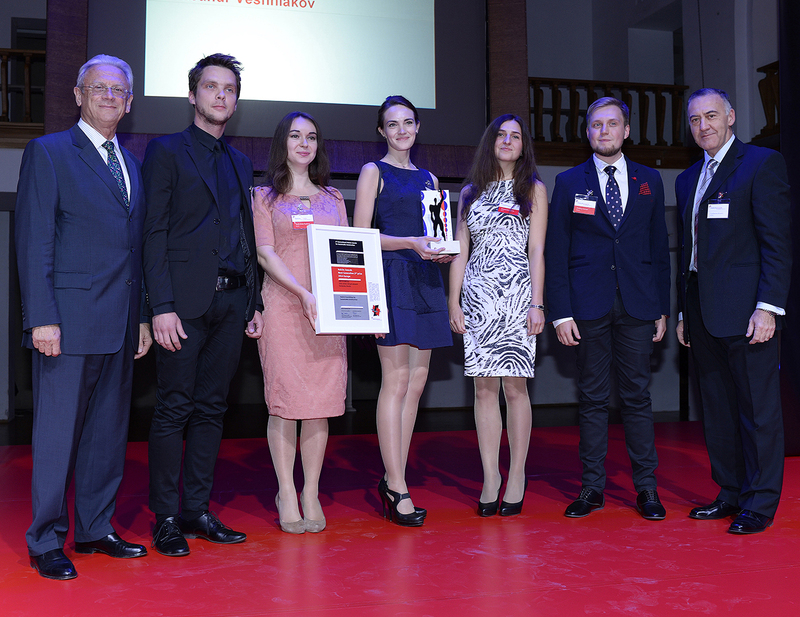 Presentation of the Holcim Awards “Next Generation” 2nd prize 2014 Europe for “Net Point: Civic center virtual network, Sortavala, Russia” (l-r): Claude Fussler, Founding member of the Board of the Holcim Foundation, France; “Next Generation” 2nd prize recipients Aleksandr Veshniakov, Nadezhda Pavlova, Natalia Mikhailova, Aleksandra Tyron and Dimitry Ivanov, all St Petersburg, Russia; and Guillermo Brusco, CEO Holcim Russia. Presentation of the Holcim Awards “Next Generation” 3rd prize 2014 Europe for “Bio Ceramic: Moss-grafted clay tiles for green roofs, Barcelona, Spain” (l-r): Claude Fussler, Founding member of the Board of the Holcim Foundation, France; Iker Luna (from Nicaragua), Institute for Advanced Architecture of Catalonia (IAAC), Barcelona, Spain; and Feliciano Gonzales, CEO Holcim Spain. 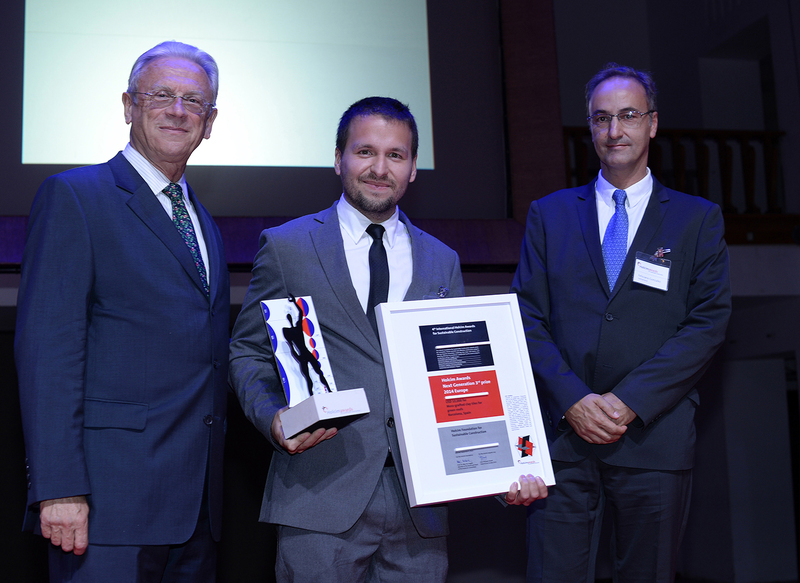 Presentation of the Holcim Awards “Next Generation” 4th prize 2014 Europe for “De-Salination: Symbiotic water supply and landscape regeneration, Dublin, Ireland” (l-r): Claude Fussler, Founding member of the Board of the Holcim Foundation, France; András Dankházi (from Hungary), University College Dublin, Ireland; and Ottó Magera, CEO Holcim Hungary. Presentation of the Holcim Awards “Next Generation” 5th prize 2014 Europe for “Vertical Restructuring: High-rise tower rehabilitation, Nantes, France” (l-r): Claude Fussler, Founding member of the Board of the Holcim Foundation, France; winner of the “Next Generation” 5th prize, Grégoire Arthuis, Paris, France; and Gerard Letellier, CEO Holcim France. 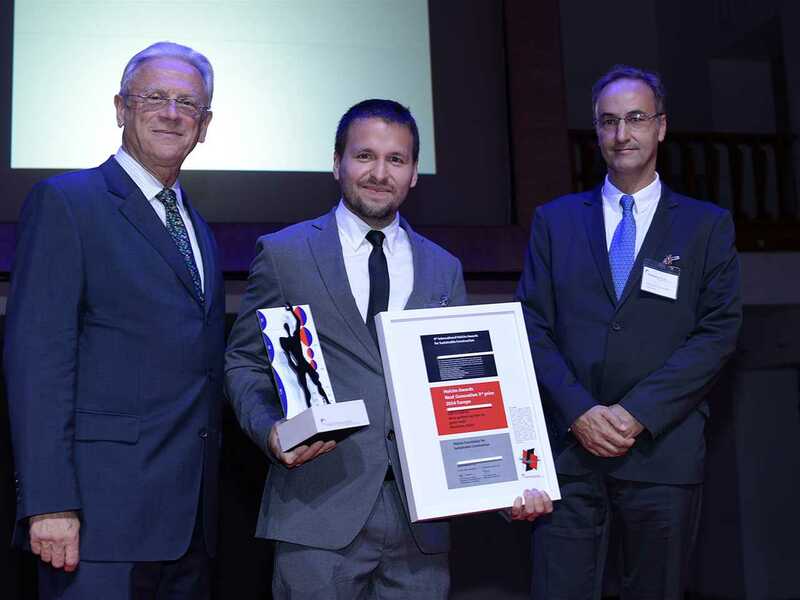 Presentation of the Holcim Awards “Next Generation” 6th prize 2014 Europe for “Air-Shade: Responsive sustainable shading system, Vienna, Austria” (l-r): Claude Fussler, Founding member of the Board of the Holcim Foundation, France; Nikola Znaor (from Croatia), Academy of Fine Arts, Vienna, Austria; and Horia Adrian, Holcim Area Manager Emerging Europe, Representative of Holcim in the Holcim Awards jury 2014 Europe. 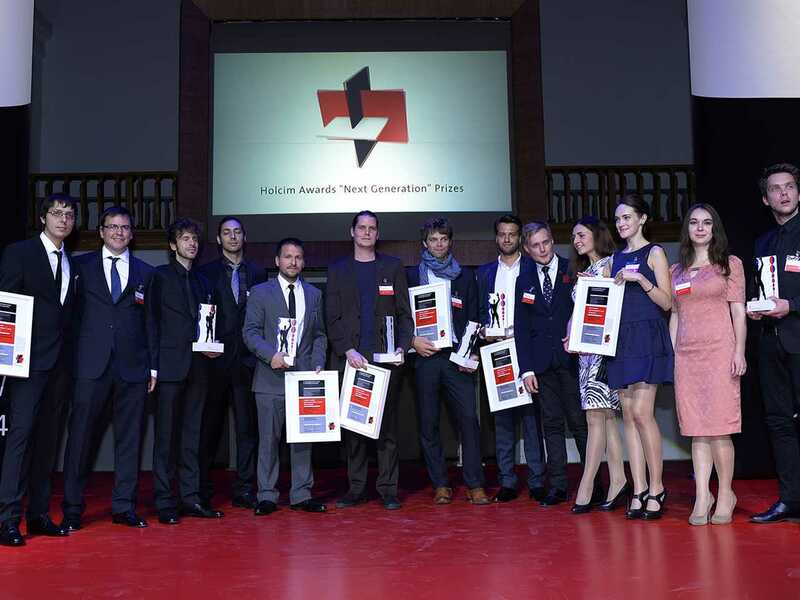 Winners of the “Next Generation” prizes for Europe: The Holcim Awards competition also seeks visions and bold ideas from young professionals and students. 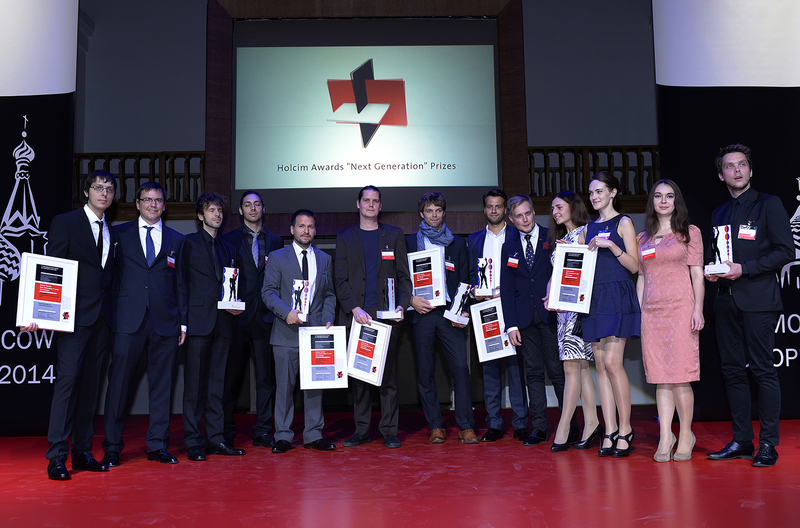 The jury decided to confer an unprecedented six prizes in recognition of the outstanding quality of submissions from across Europe. 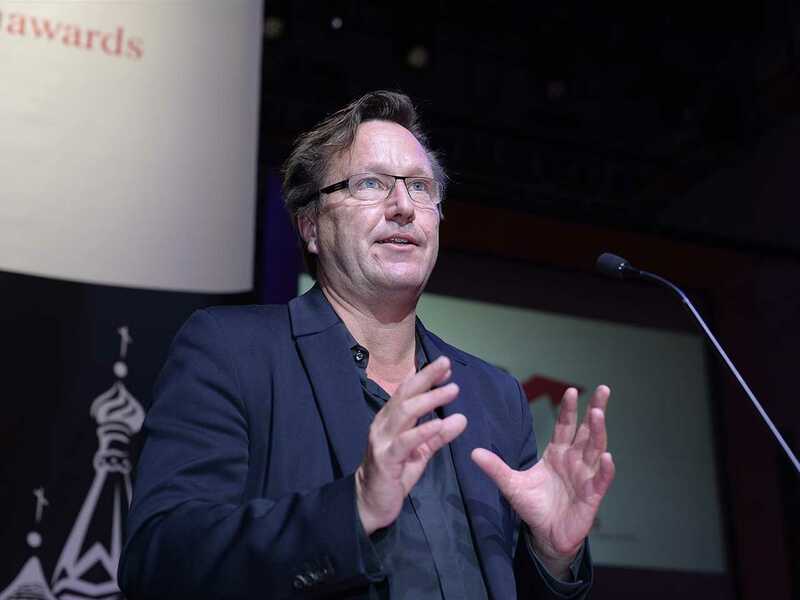 Jury representative Arno Brandlhuber (Germany) applauded the Holcim Awards Gold winning project for its bold philosophical posture – investigating the roles of architecture, landscape design, and urban planning and their constraints through the necessity to allow human existence. 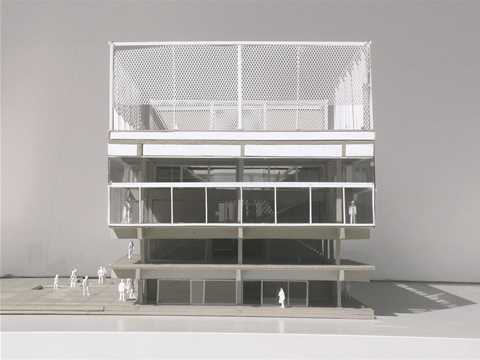 “The project frames a discourse on potential forms of relationship between human activity and the natural environment, offering strategies for understanding architecture as a form of action in a symbiotic rapport with nature,” he said. 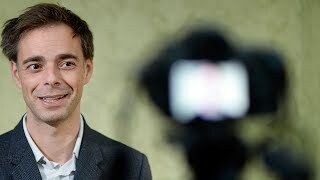 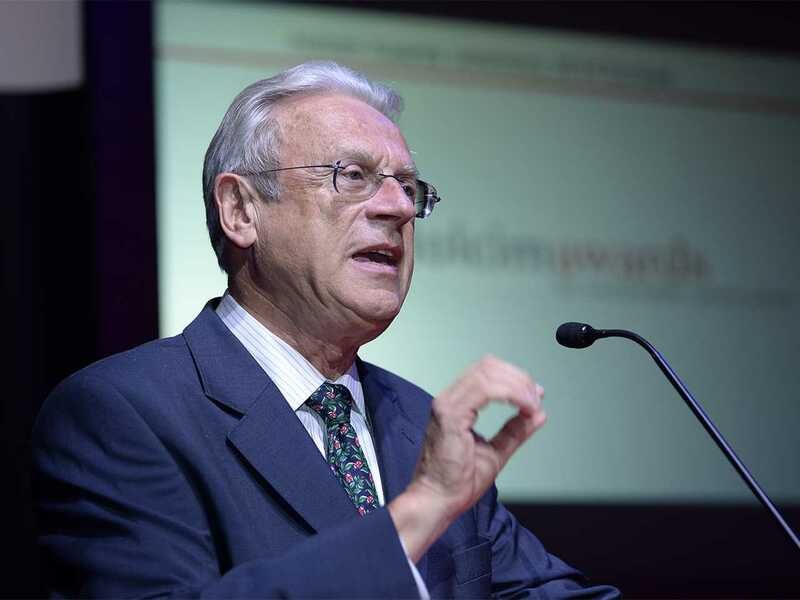 Harry Gugger, Member of the Board of the Holcim Foundation and Professor for Architectural & Urban Design, Swiss Federal Institute of Technology (EPFL), Switzerland presented the Holcim Awards Acknowledgement and Honorable Mention prize winning projects. 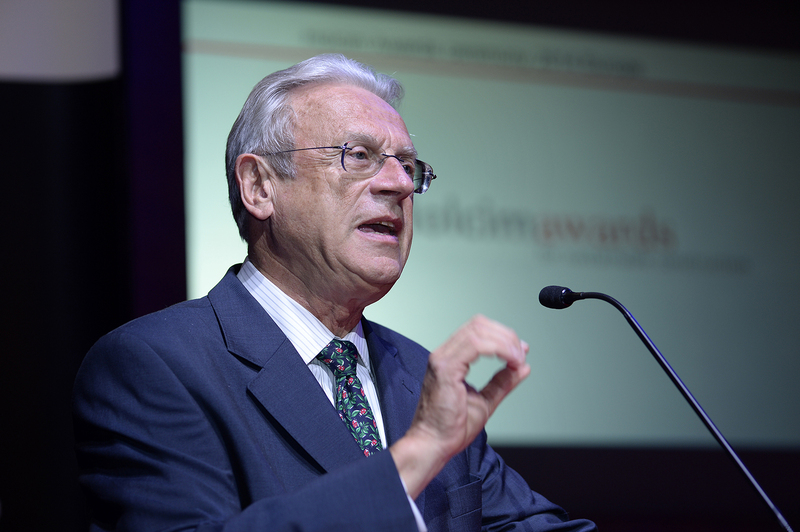 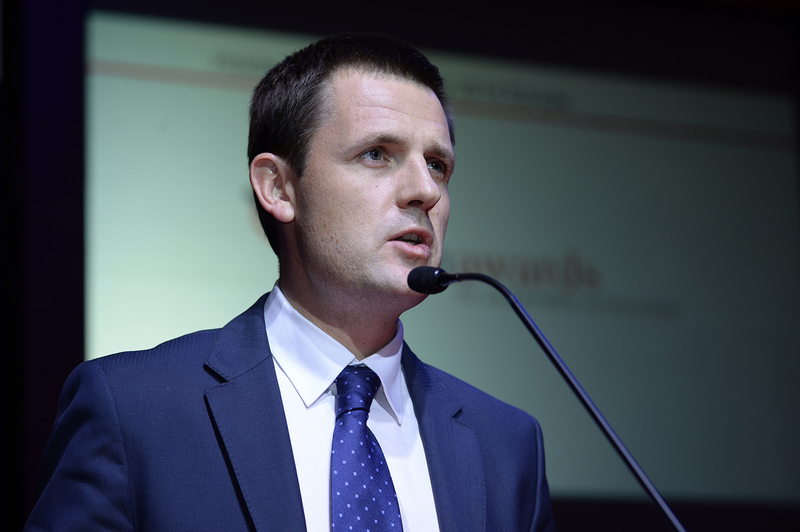 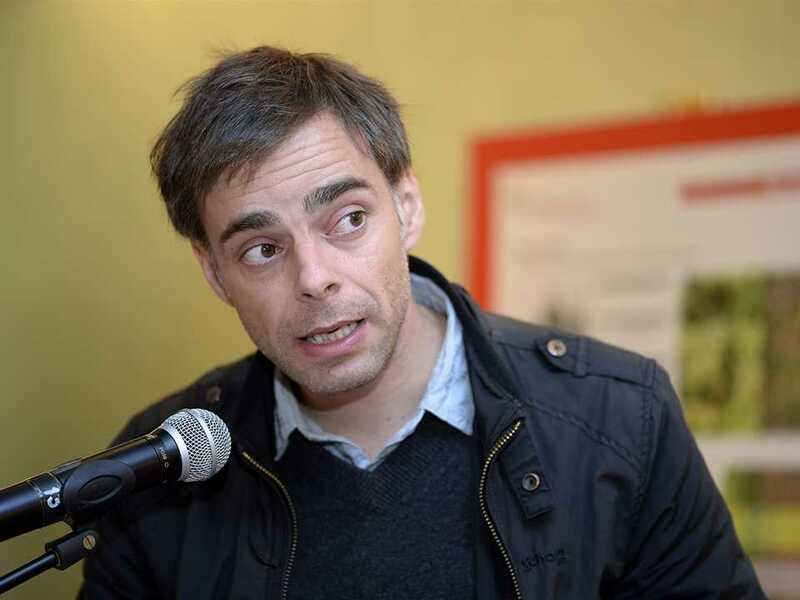 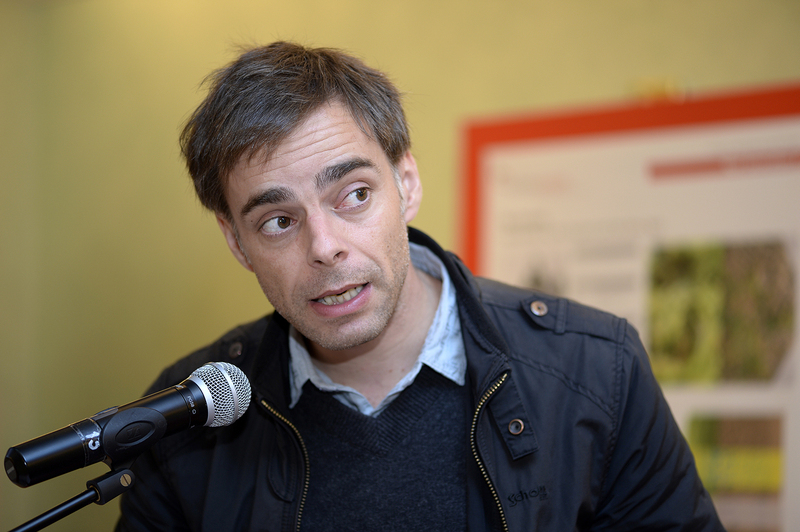 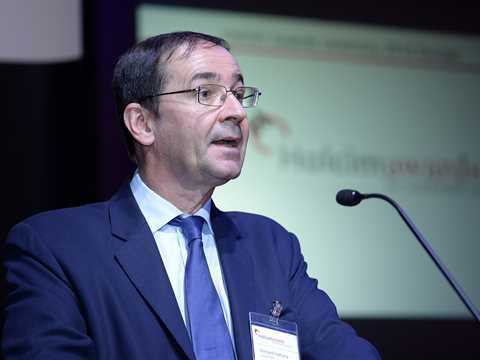 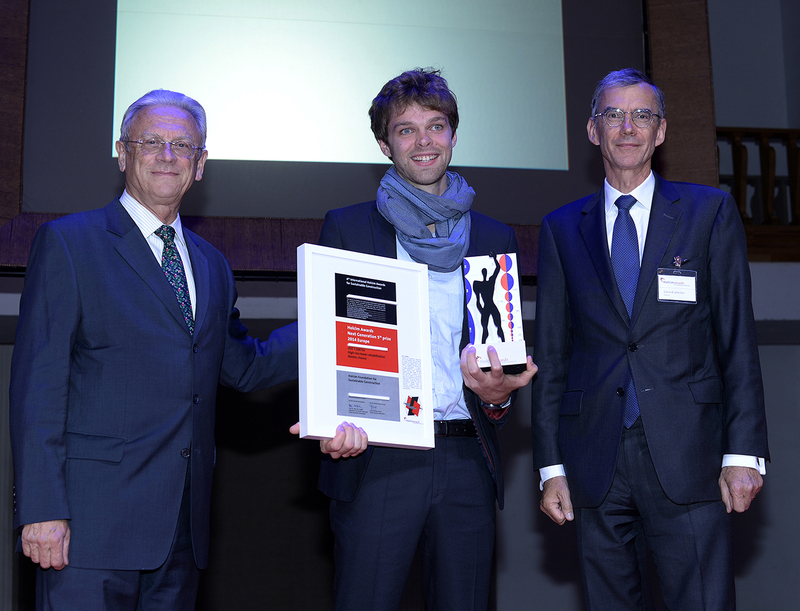 Claude Fussler, Founding member of the Board of the Holcim Foundation, France presented the “Next Generation” prizes. 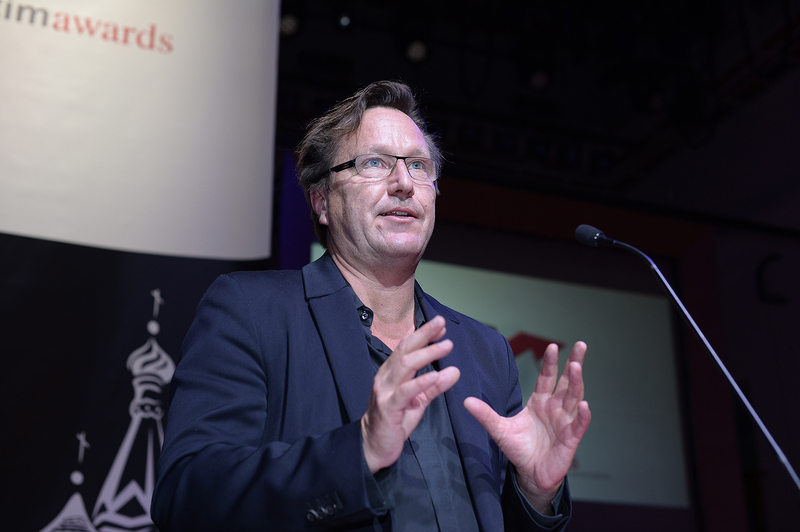 “In megacities, the importance of sustainability in construction is vital – but the value of heritage buildings should not be overlooked. 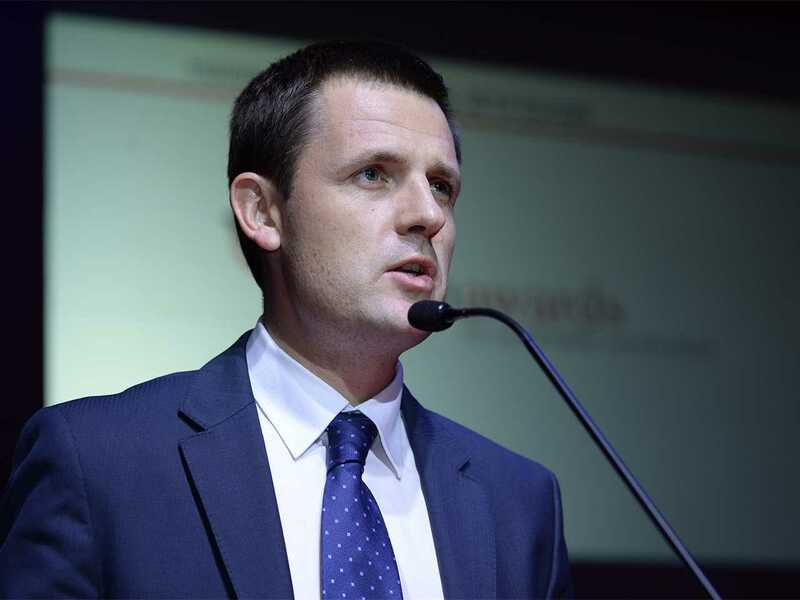 The most sustainable buildings are frequently also the most beautiful.” – Sergei Kuznetsov, Welcome Speaker, Chief Architect of the City of Moscow. 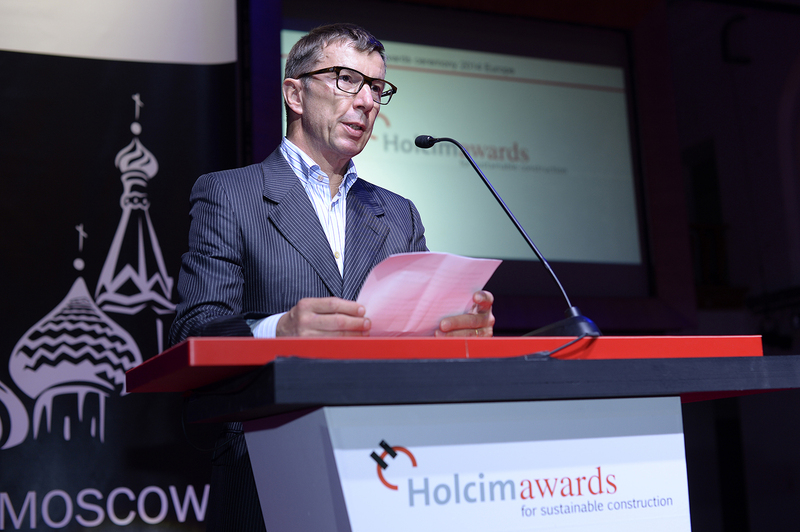 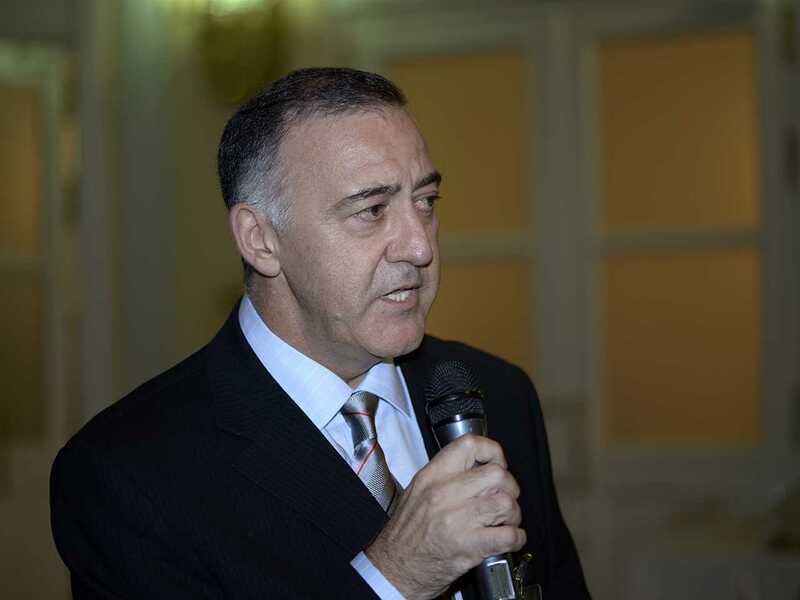 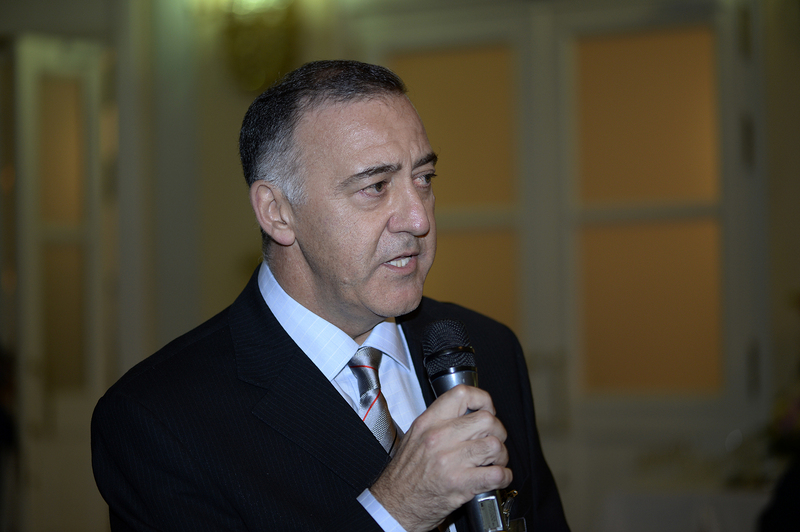 Welcoming guests to the ceremony: Guillermo Brusco, CEO Holcim Russia. 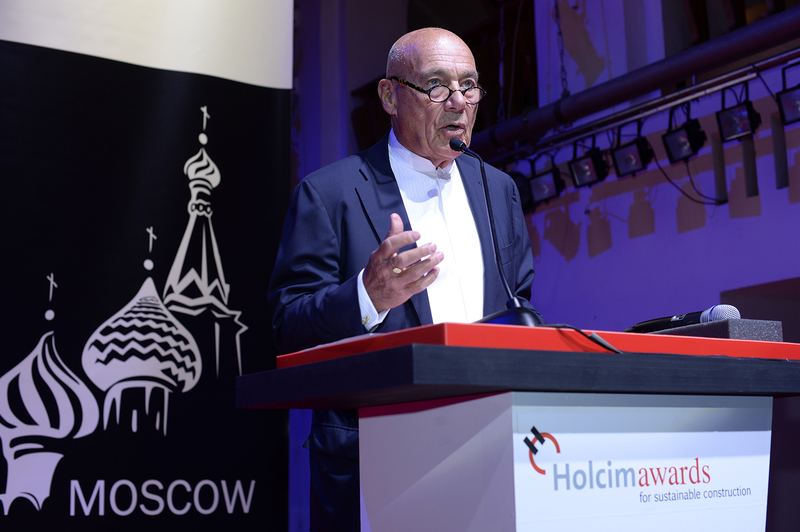 Master of Ceremonies: Vladimir Posner, presenter and journalist. 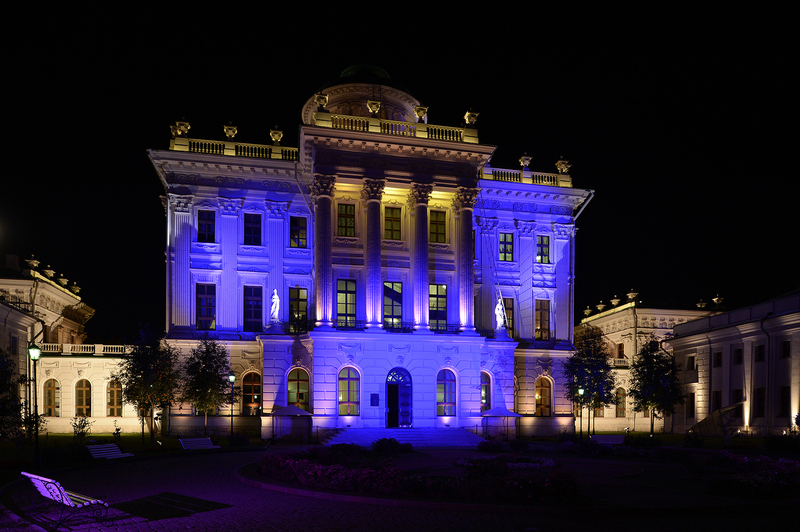 Venue of the Holcim Awards 2014 Europe ceremony: Pashkov House, a renowned Neoclassical mansion constructed in the 1780s, standing on a hill overlooking the western wall of the Moscow Kremlin. 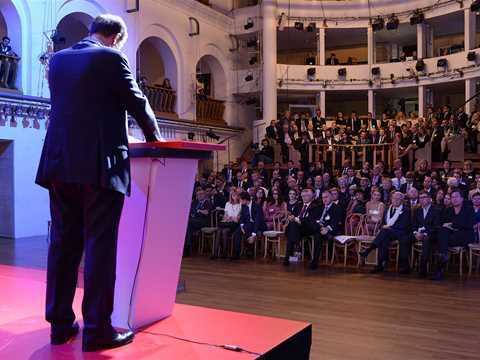 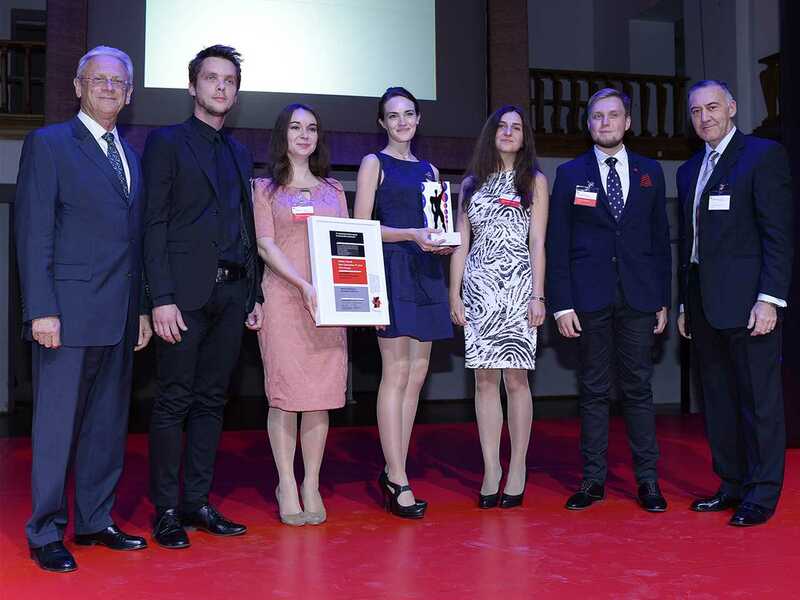 The audience of the Holcim Awards 2014 Europe ceremony: A total of twelve projects including state-of-the-art designs from leading professionals as well as visions of the next generation were recognized and share more than USD 300,000 prize money. 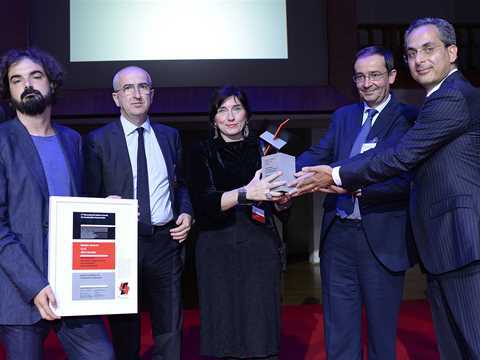 A building that will host a mix of activities including indoor and outdoor sports facilities, cafés, street terraces and a pedestrian square on the new university campus of Paris-Saclay received the Holcim Awards Silver. Gilles Delalex, Yves Moreau and Thomas Wessel-Cessieux from Muoto architects (France) have designed a minimal structure that uses rough materials, robust and long-lasting techniques, and vertical stacking to superimpose different activities above one another. The jury acknowledged the minimal deployment of architectural and technical means that is resilient and adaptable to future needs: “The elegant design merges economic and aesthetic considerations in such a way that the low-cost structure turns limitation into a quality”. The project’s minimal deployment of architectural and technical means was considered a remarkable contribution to sustainable construction by the members of the jury. 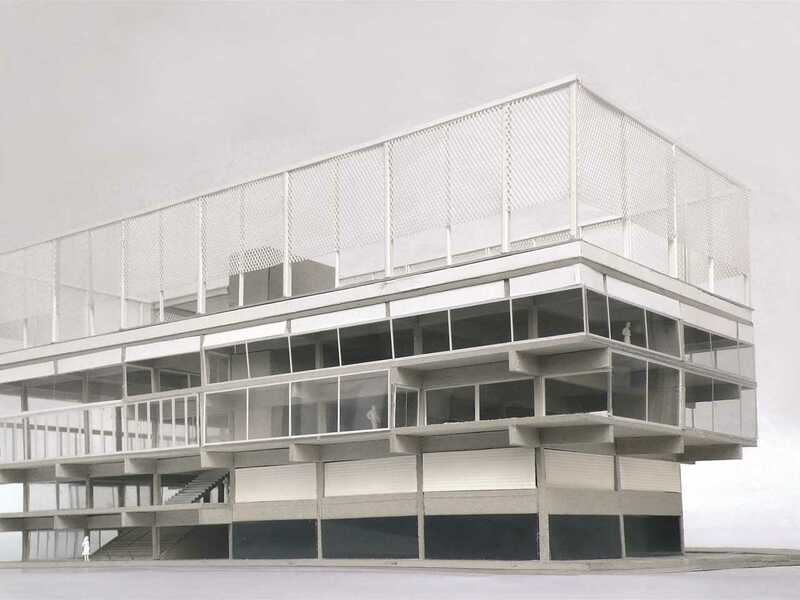 The elegant design merges economic and aesthetic considerations – a low-cost structure turning a limitation into a quality. 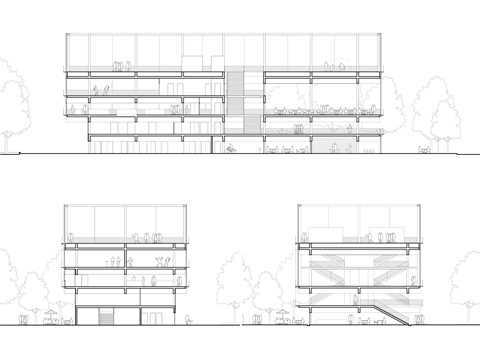 The proposed scheme offers a robust framework that is adaptable to future needs – a form of resilient architecture, both in view of its management of resources as well as formal appearance. The project is a public facility, situated on the new university campus of Paris-Saclay, France which aims to become a top international hub in the innovation economy. The building hosts a mix of activities including indoor and outdoor sports facilities, a restaurant, cafeteria, and various public spaces: a pedestrian square, street terraces, and parking areas for deliveries, bikes and cars. 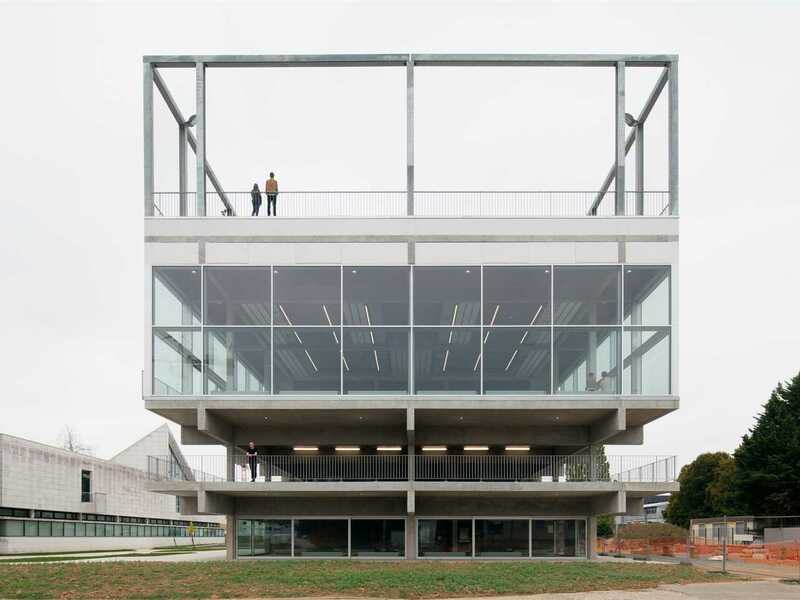 Conceived as a minimal structure using rough materials, robust and long lasting techniques, the building is organized vertically with its different activities superimposed on one another, using the roof as a panoramic playground for football and basketball games. 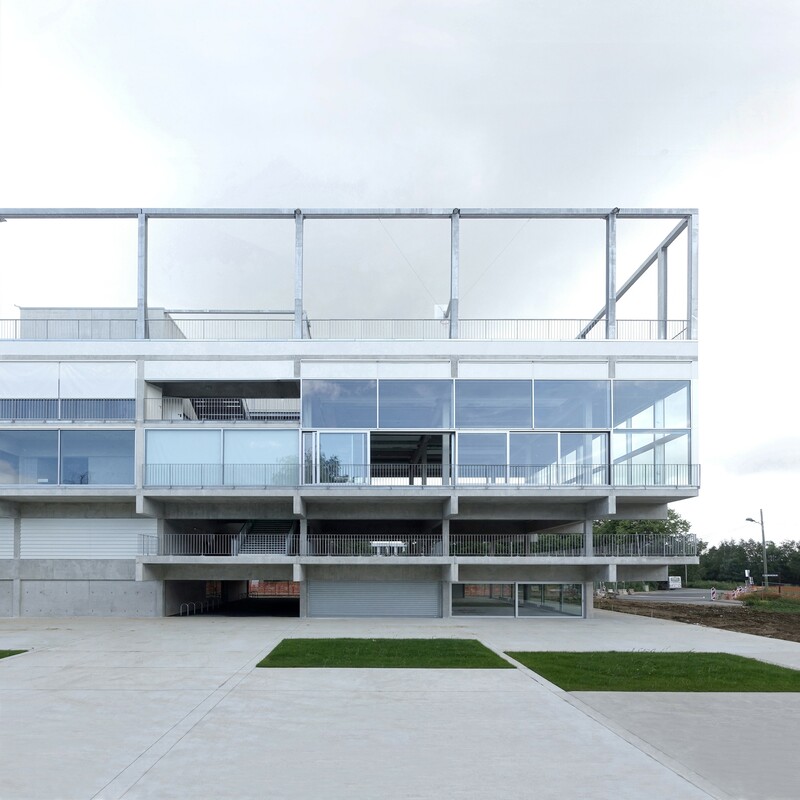 This mixed-use shared facility on the Paris-Saclay university campus encourages the interaction and encountering of various populations who live in close proximity to one another, but rarely interact. 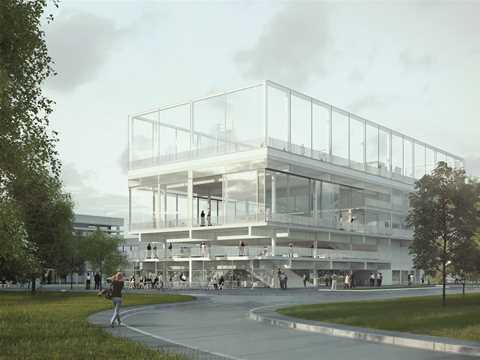 With a total capacity of more than 1,100 concurrent users, the restaurant, cafeteria and sports facilities are made accessible to students, company employees, teachers, and researchers. 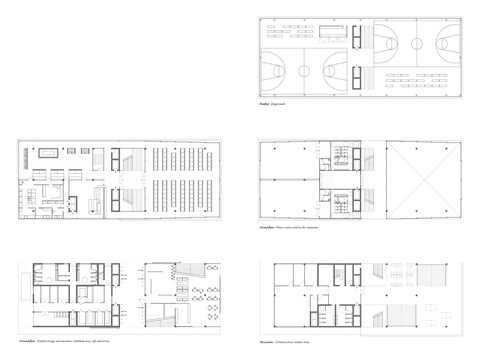 It aims at creating a meeting point for everyone by mixing activities that are usually separate. 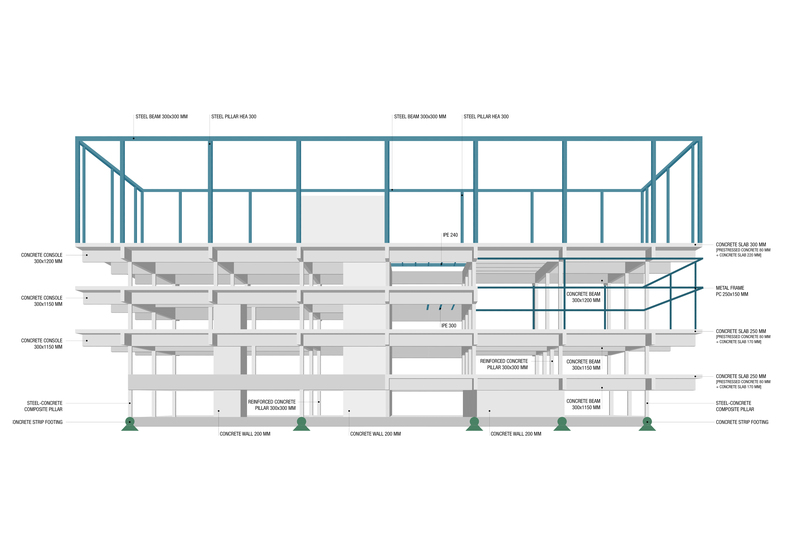 The project design minimizes the volume of materials used in construction, as well as taking maintenance and long-term reliability into account. 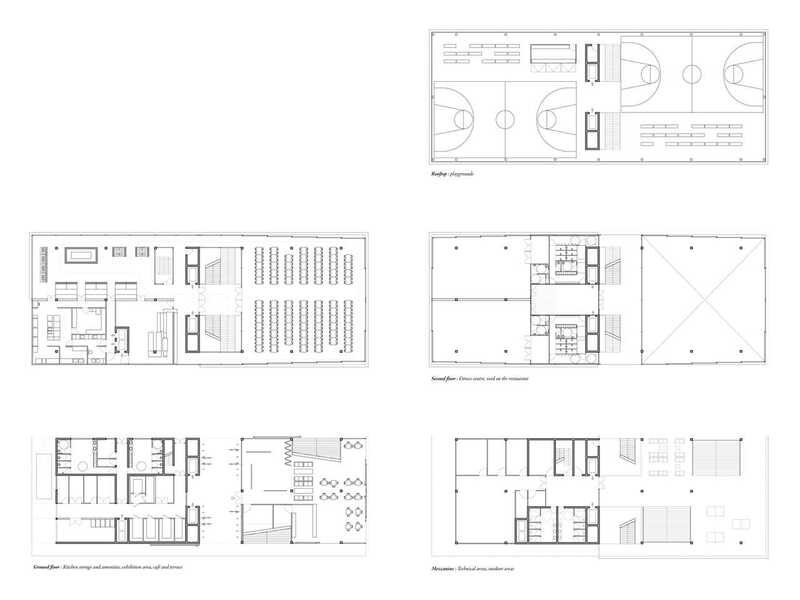 Technology is used minimally to provide a place that will endure, without the need for complicated maintenance. 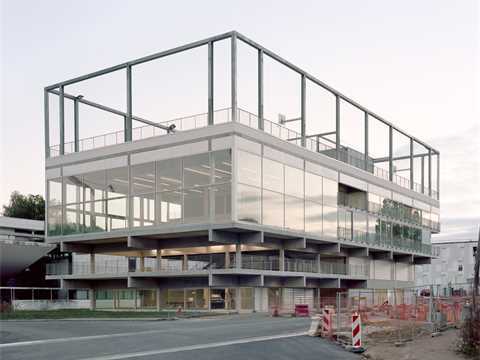 A specific insulation technique called “reversed slab” allows the building to reach high levels of thermal performances (French BBC certification), while leaving the structure visible, devoid of cladding. The project is publicly funded and in response to the low construction budget, detailing has been kept to a minimum. 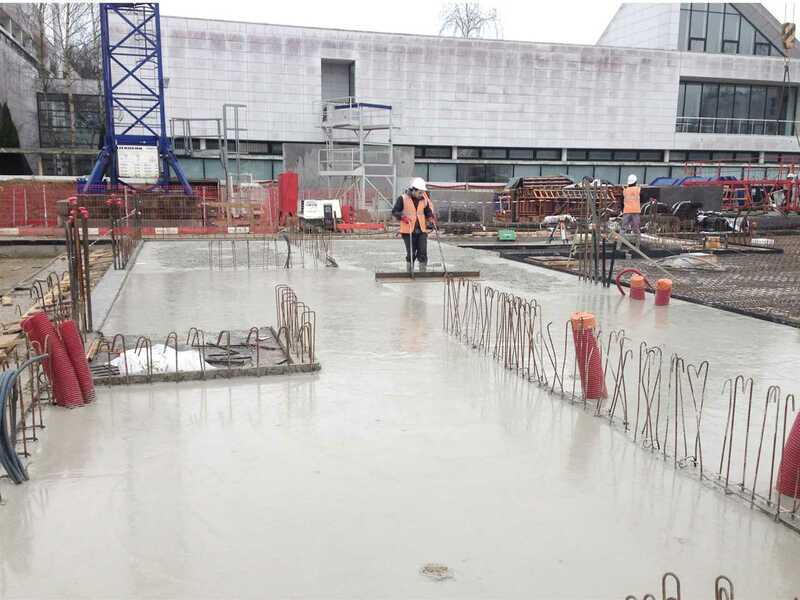 This economical approach has allowed for the inclusion of a generous public square in the construction budget, ensuring a planted pedestrian connection with the existing academic buildings adjacent to the site. 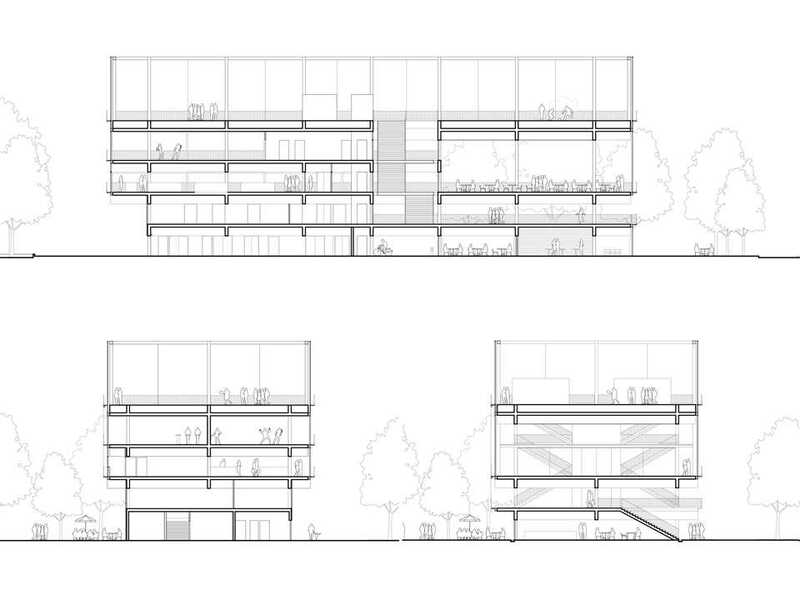 The vertical configuration of the building provides a minimal footprint. Users can ascend the monumental staircase situated inside the building to discover the surrounding agricultural landscape where they reach the 900-square-meter rooftop playground. 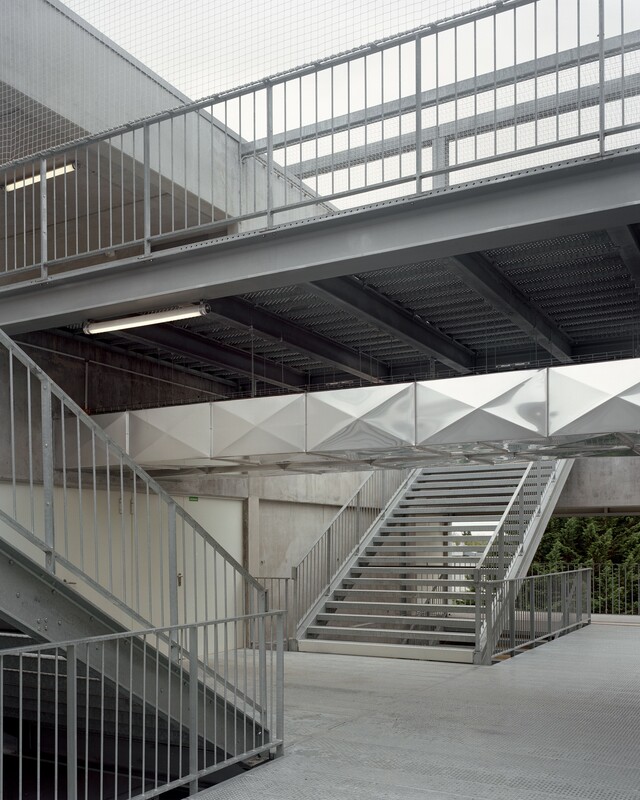 The staircase is a continuous public space that connects the layering of independent programs. The indoor spaces benefit from the most flexible configurations, thanks to a “deep plan” and glazed angles in all rooms allowing far and open views outside. 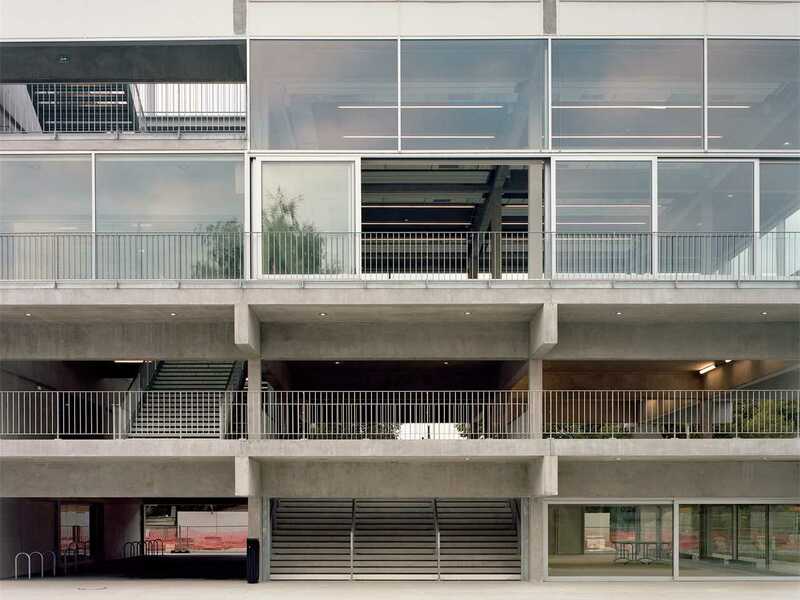 Using sliding doors on the façade offers natural ventilation during the summer while large textile shades provide sun protection.